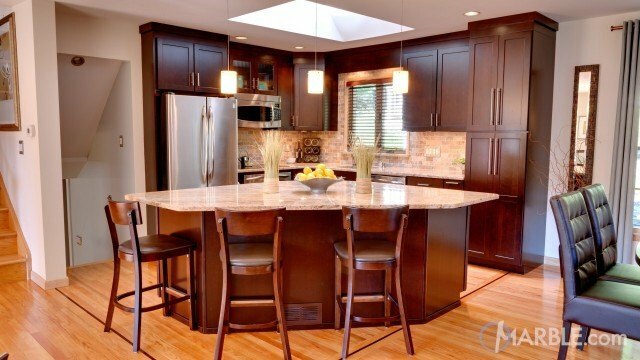 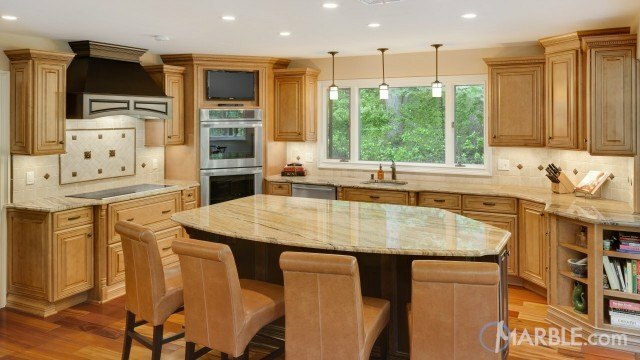 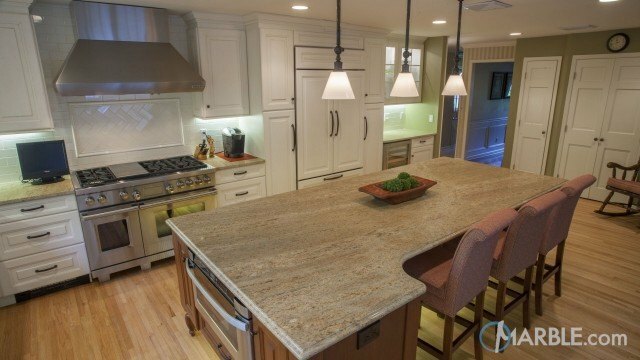 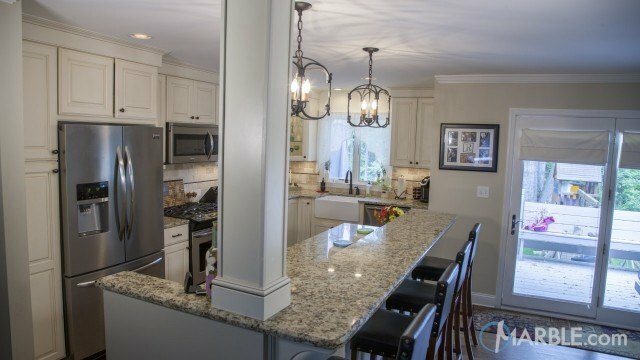 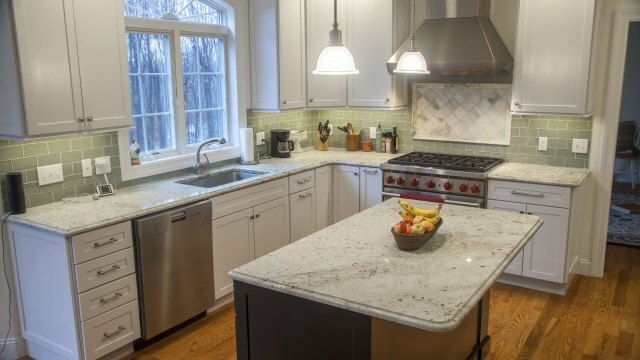 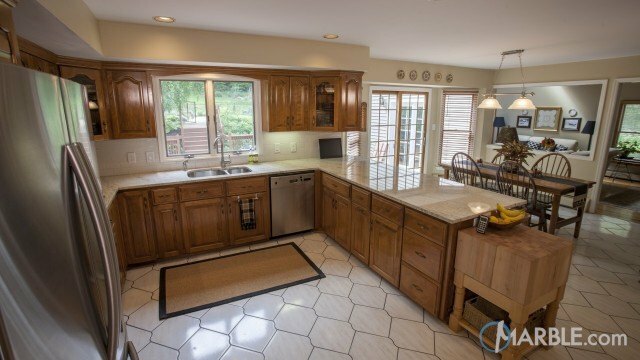 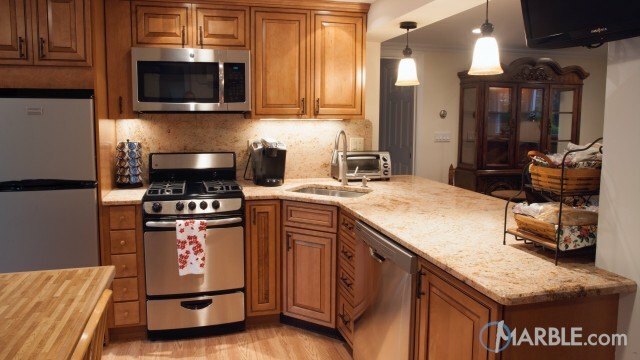 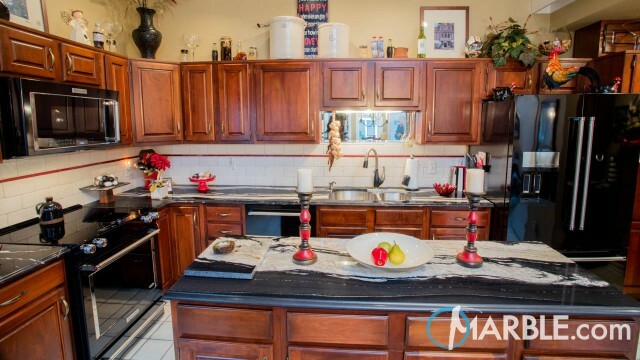 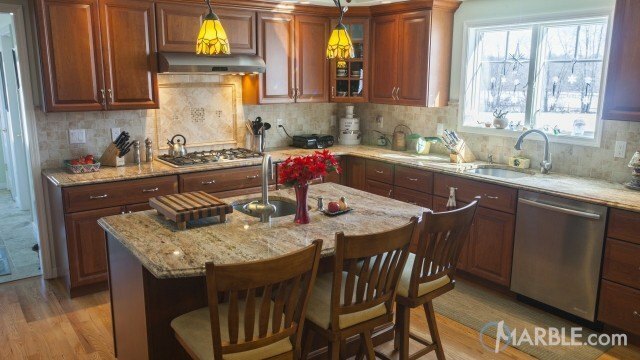 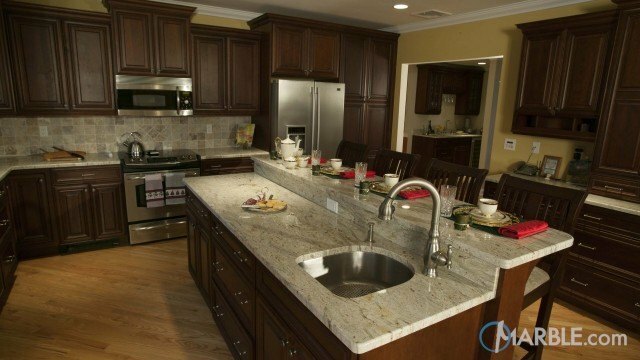 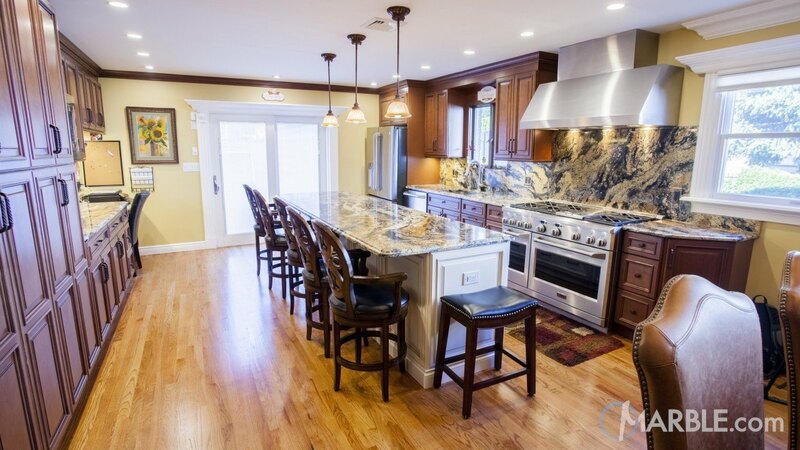 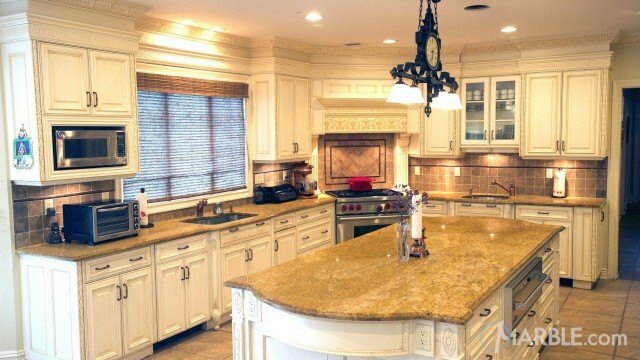 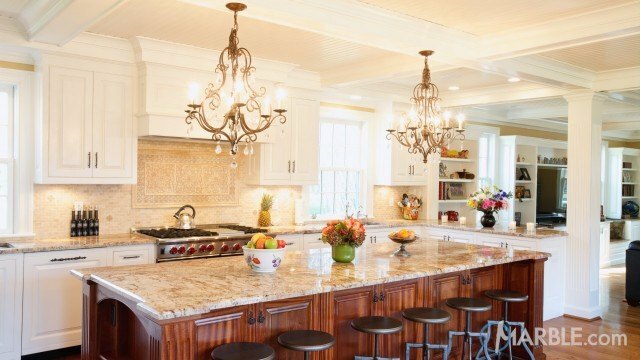 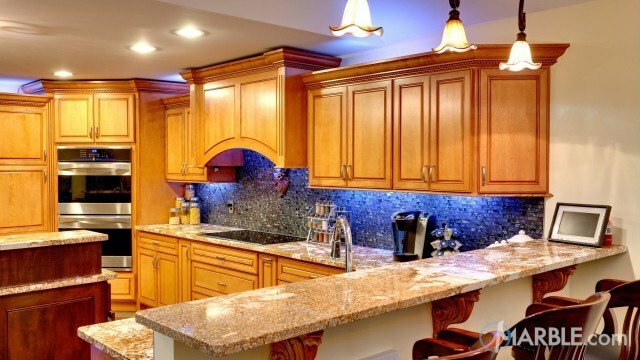 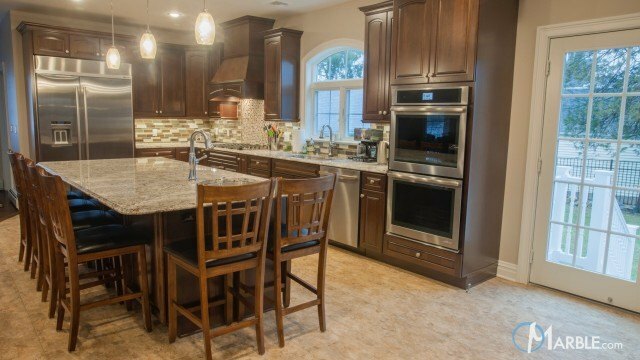 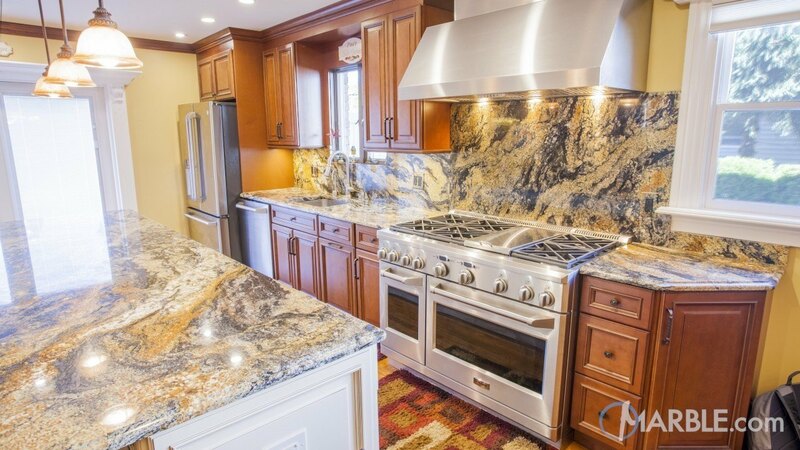 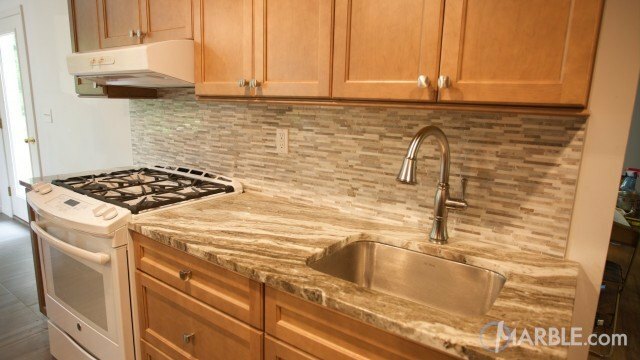 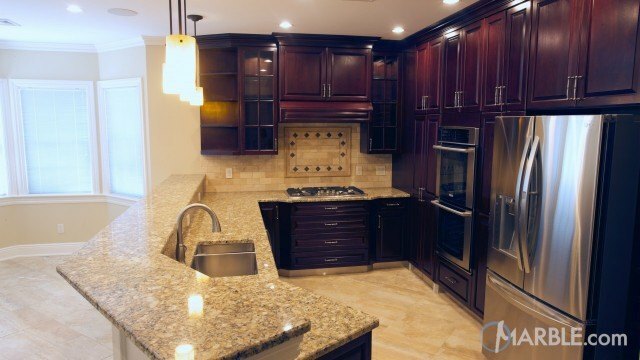 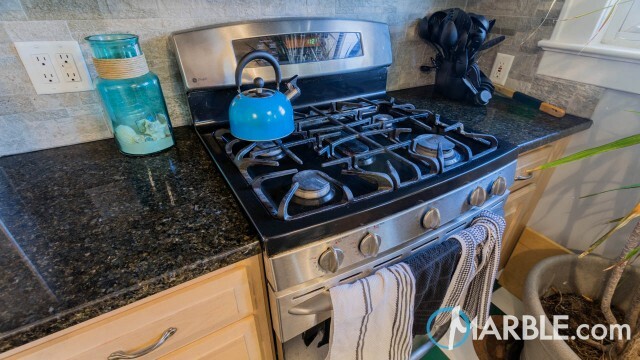 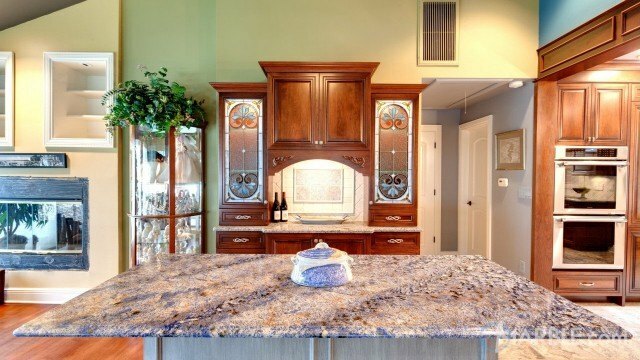 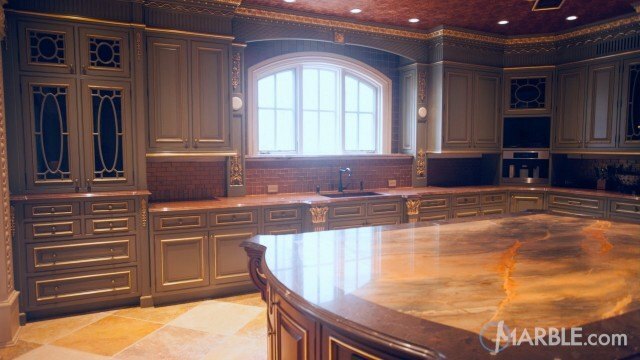 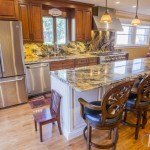 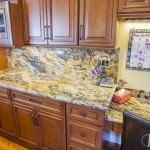 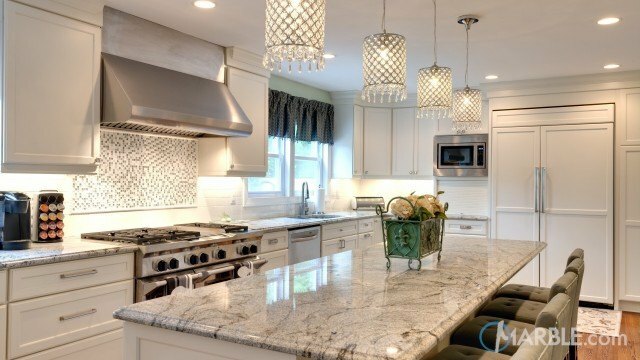 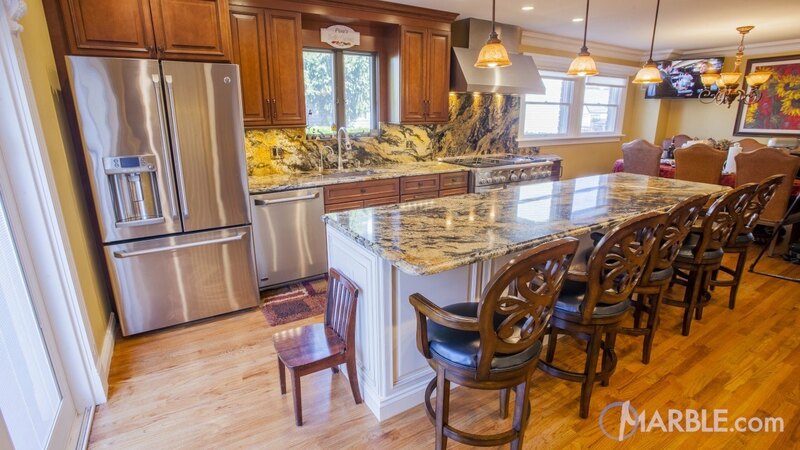 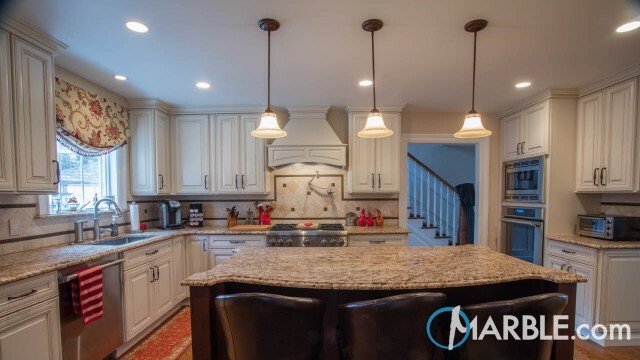 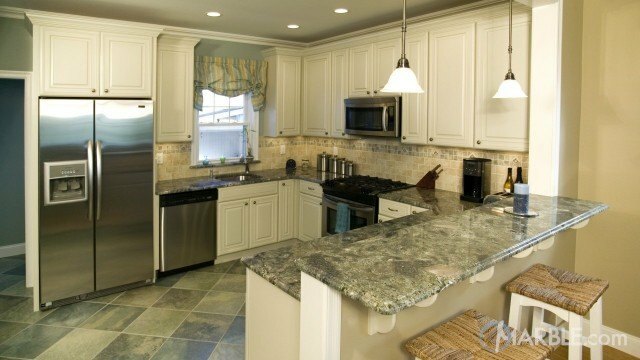 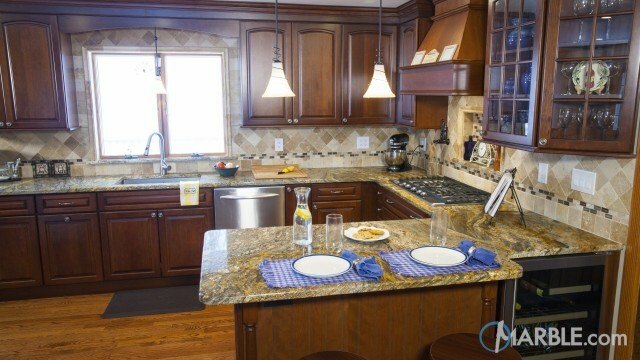 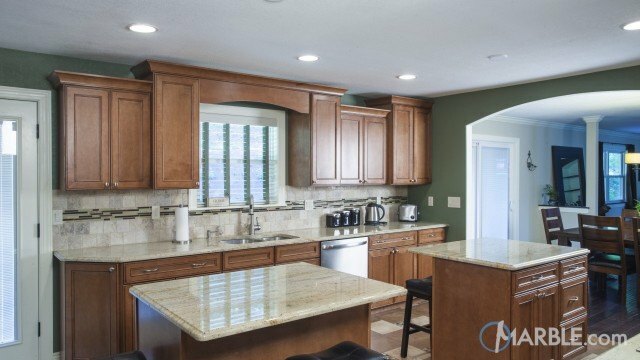 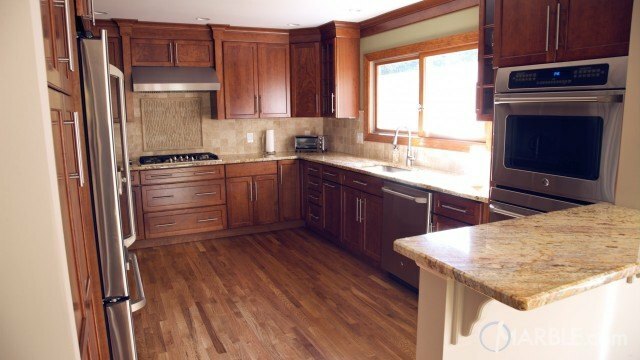 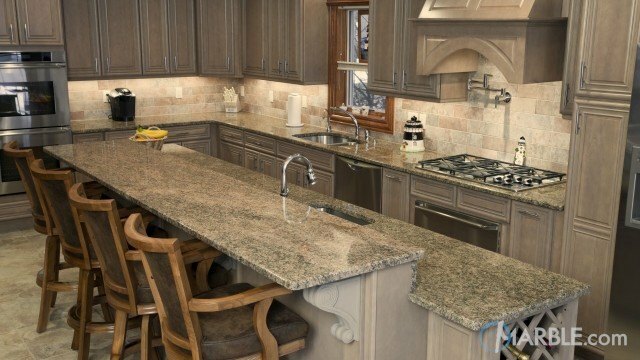 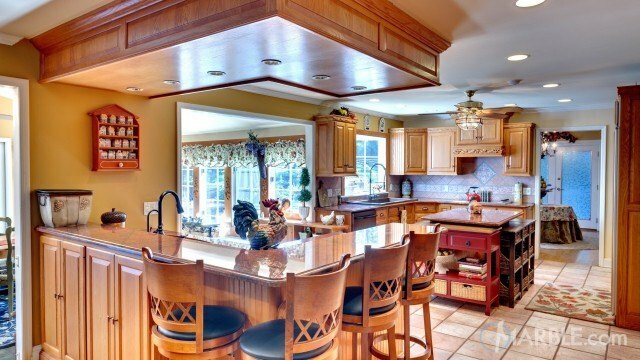 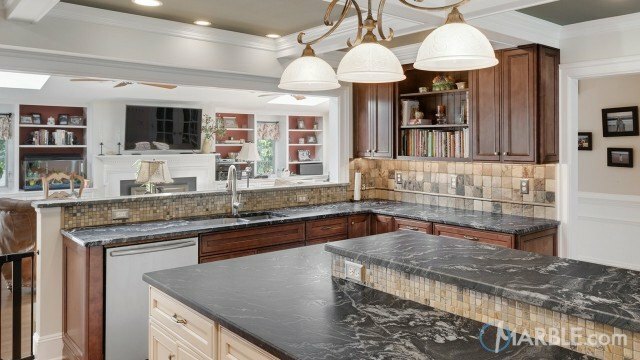 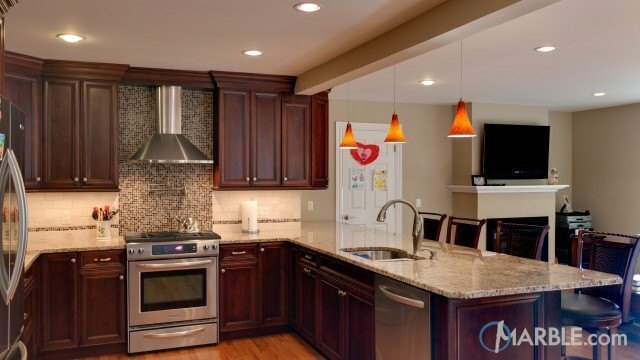 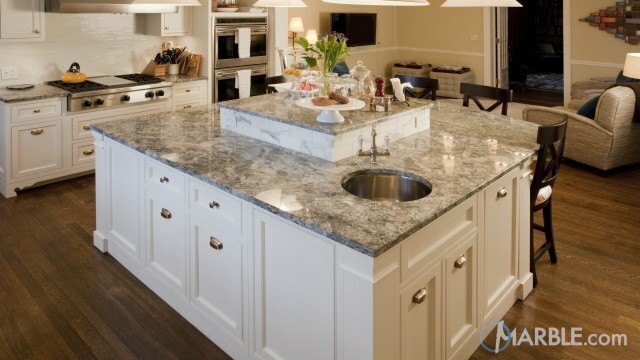 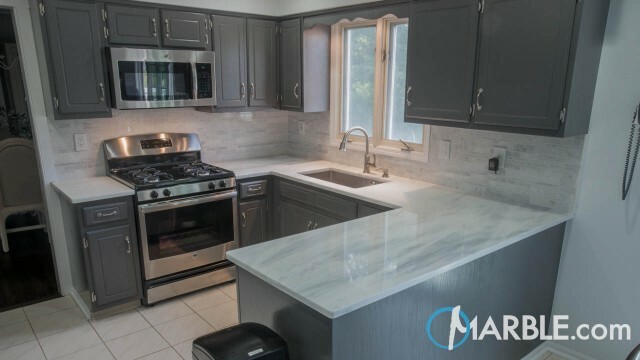 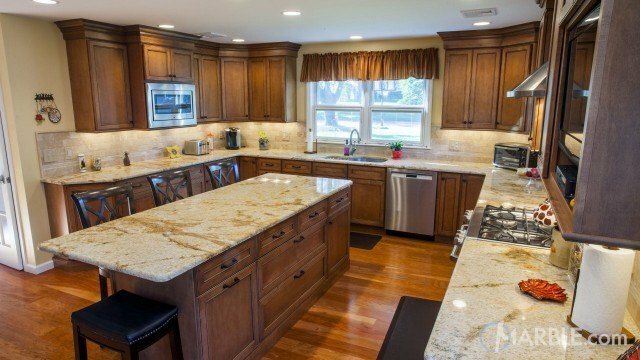 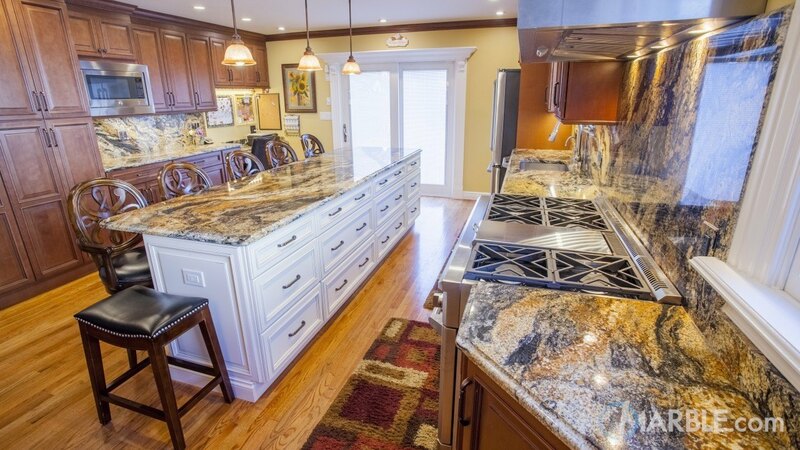 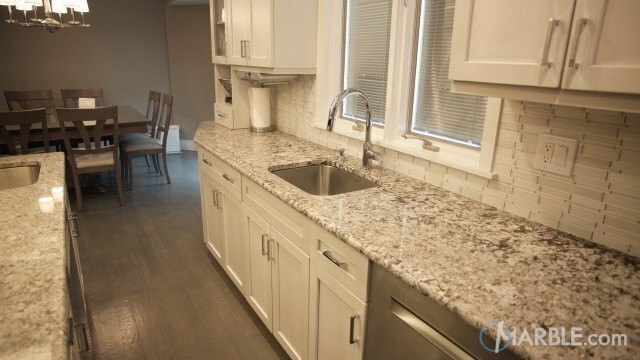 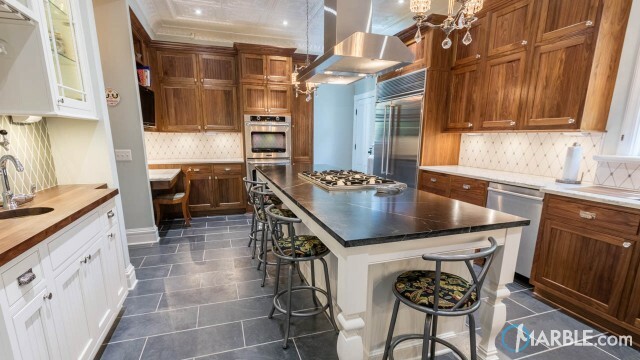 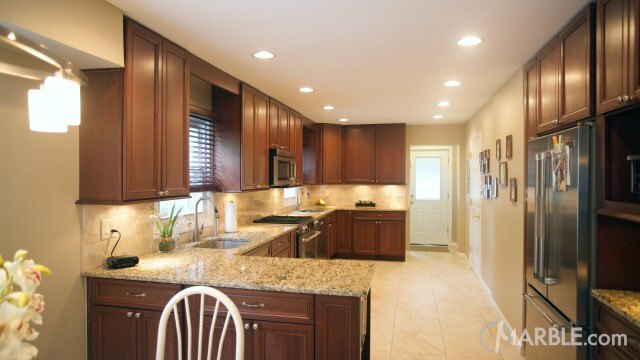 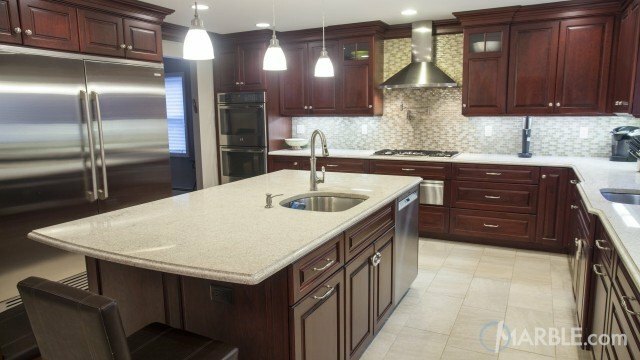 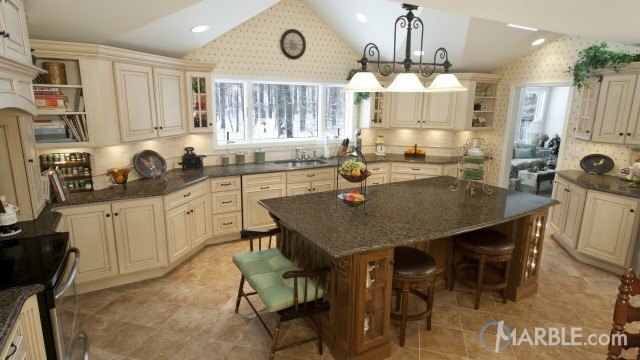 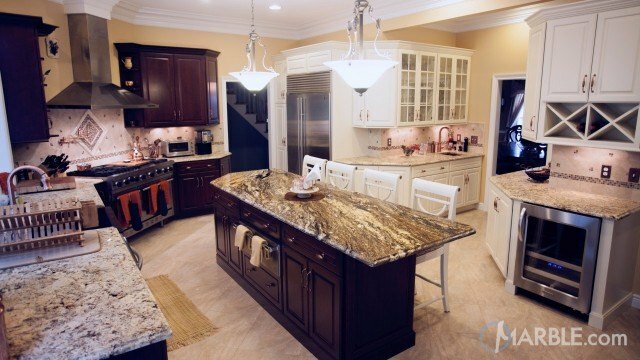 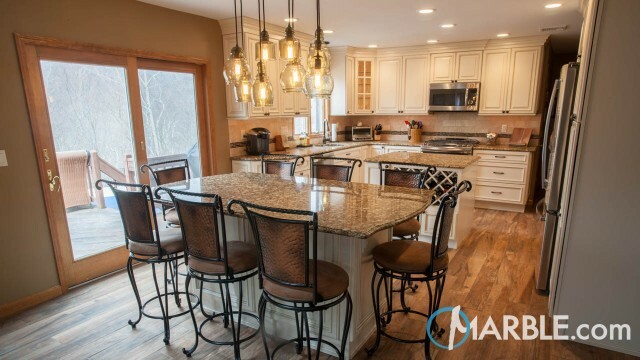 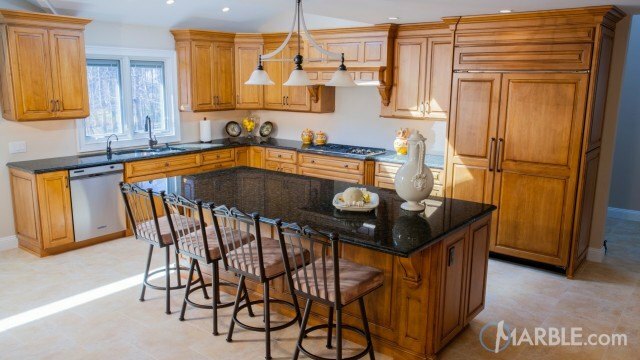 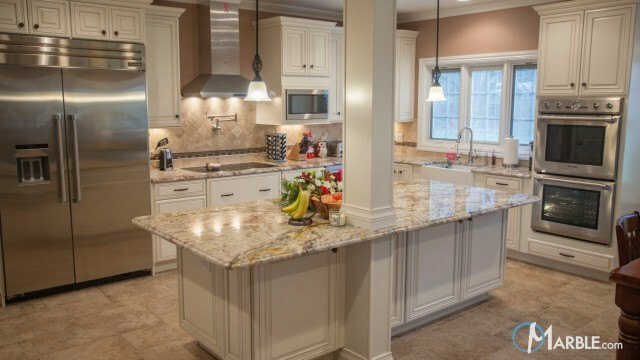 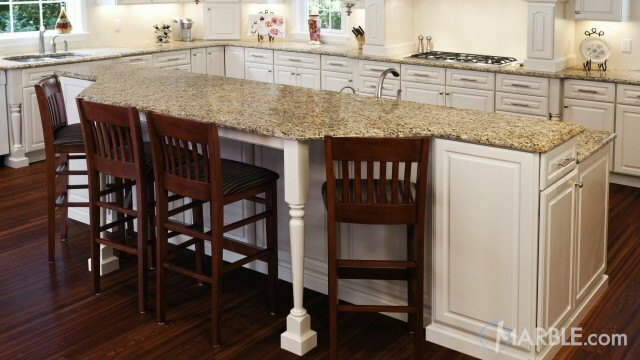 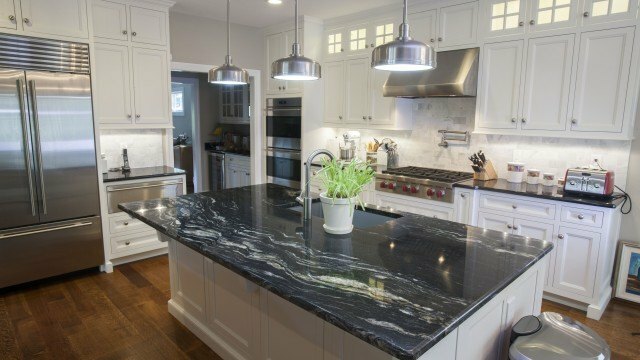 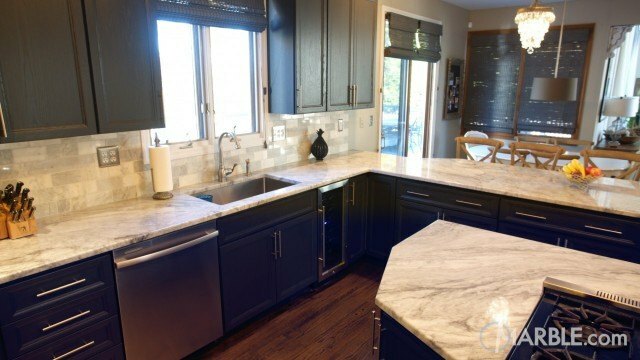 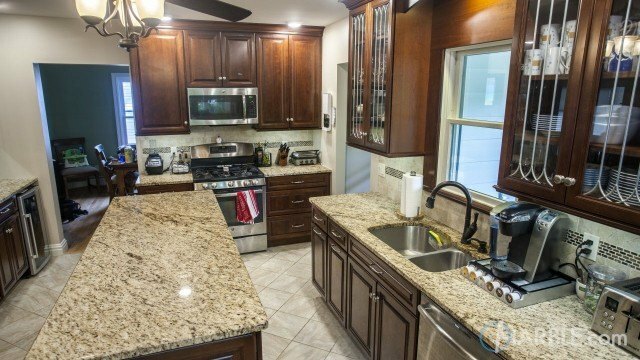 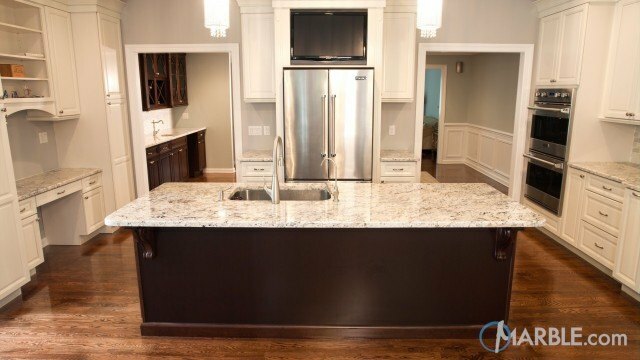 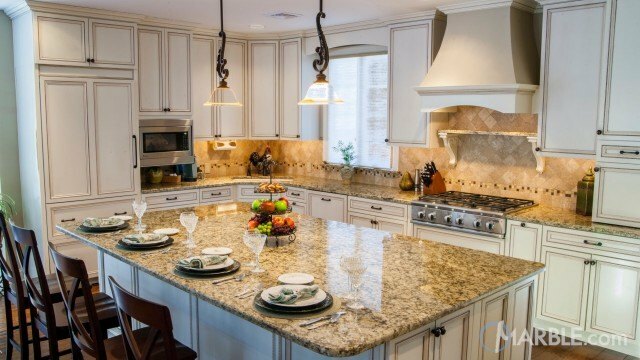 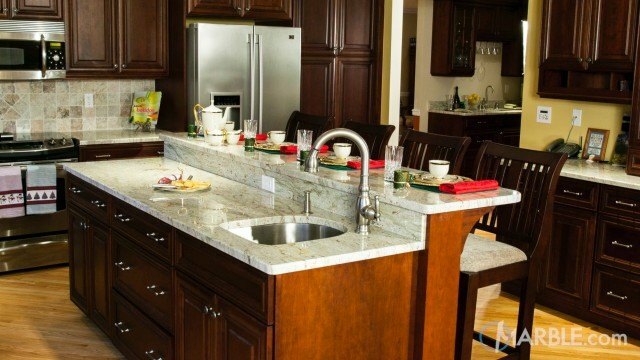 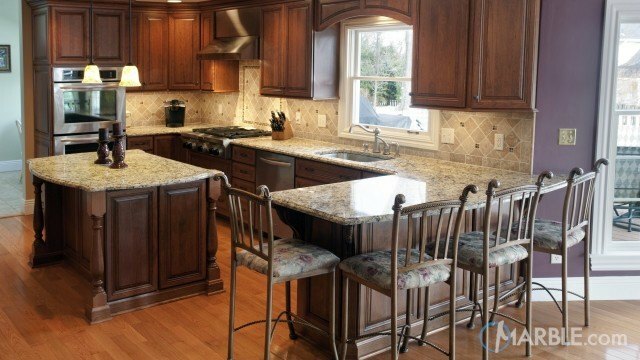 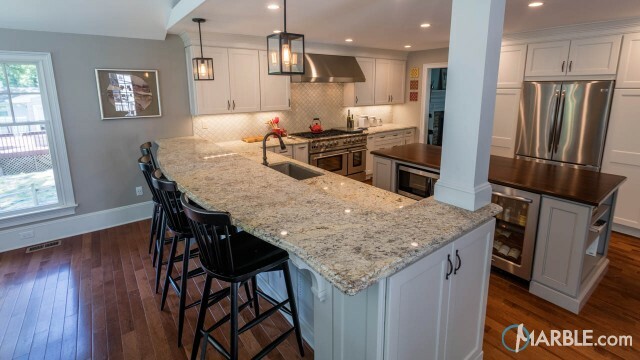 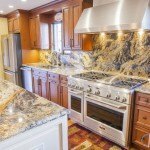 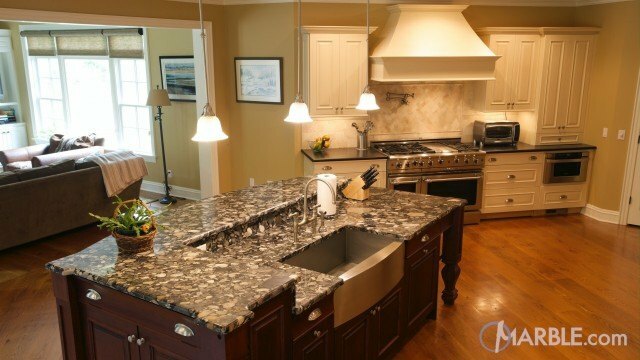 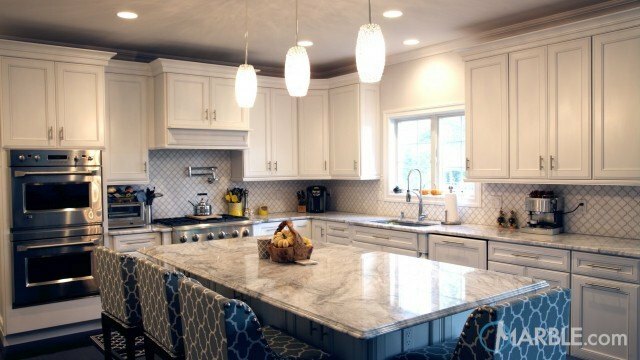 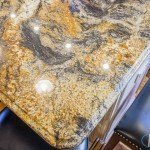 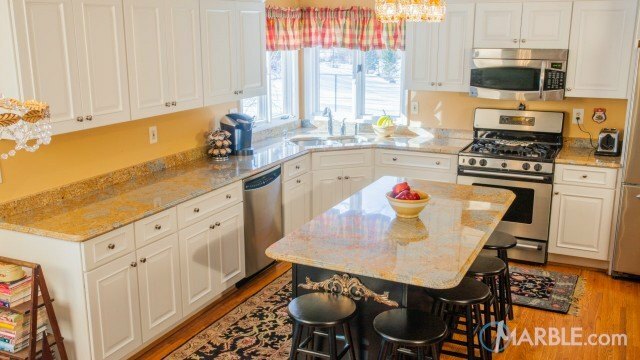 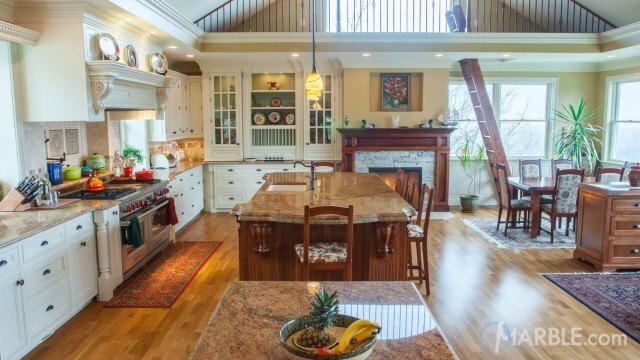 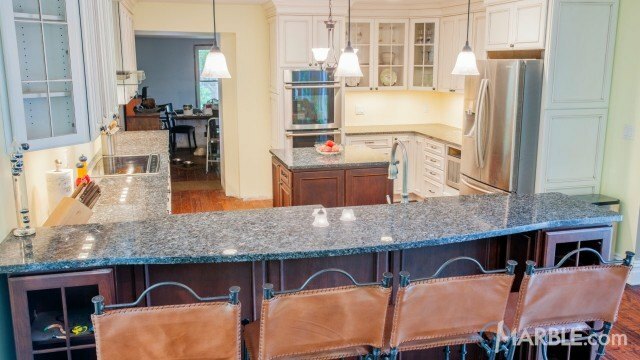 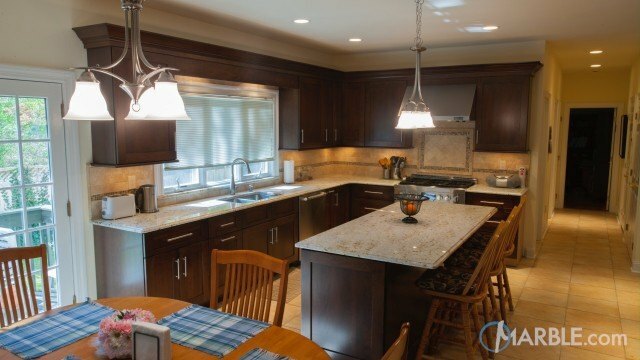 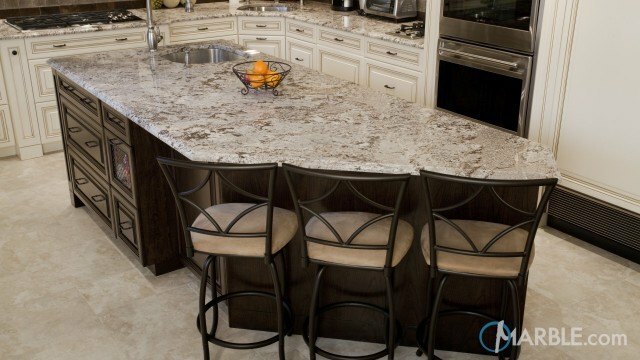 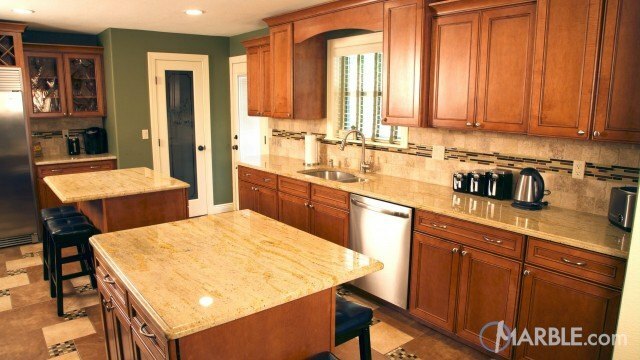 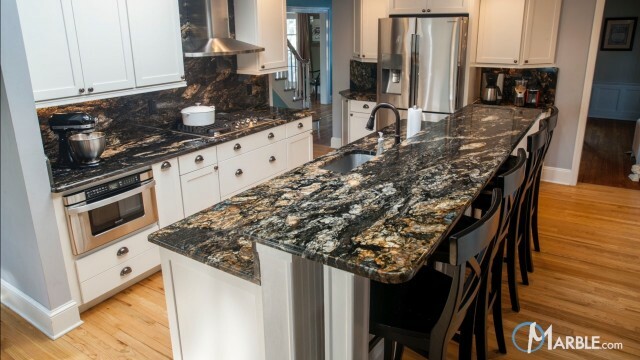 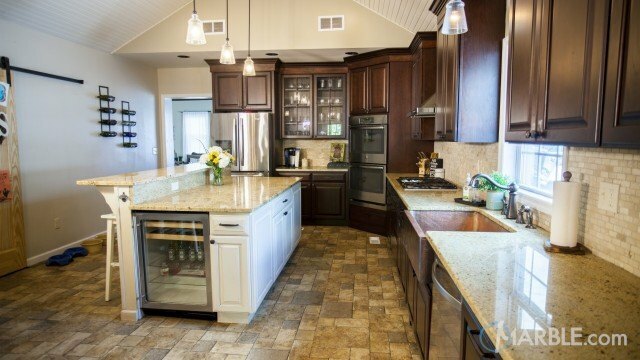 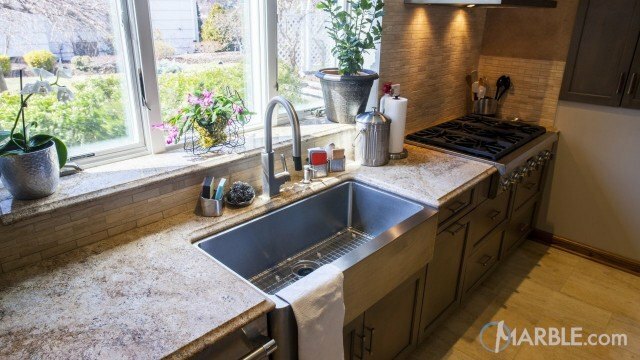 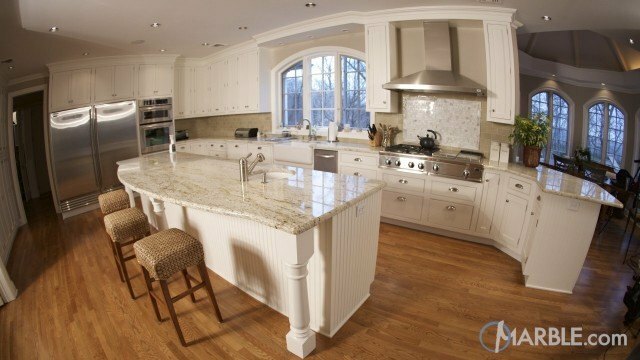 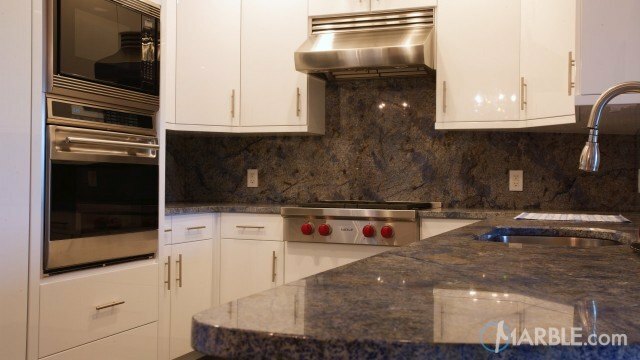 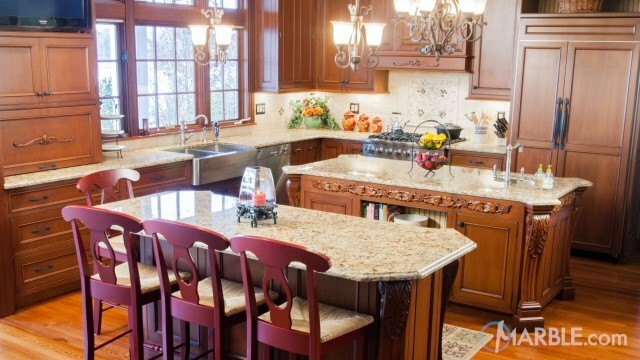 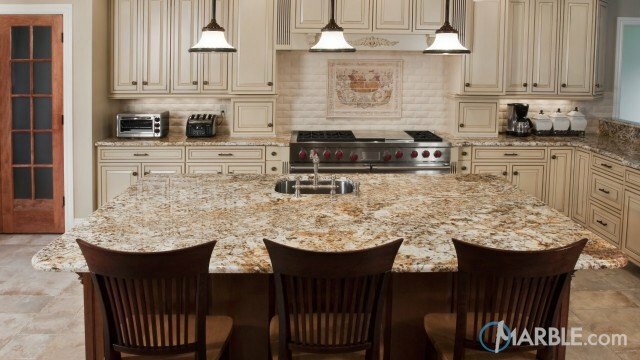 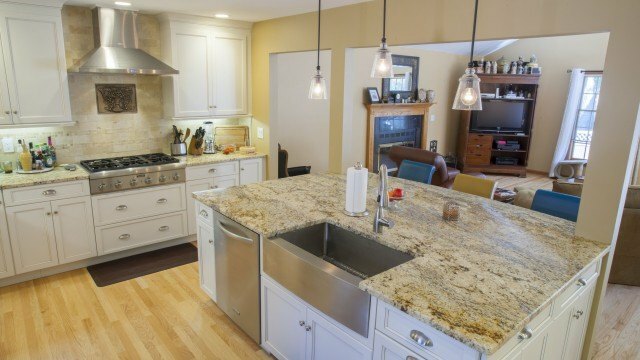 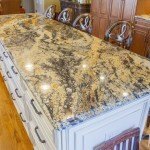 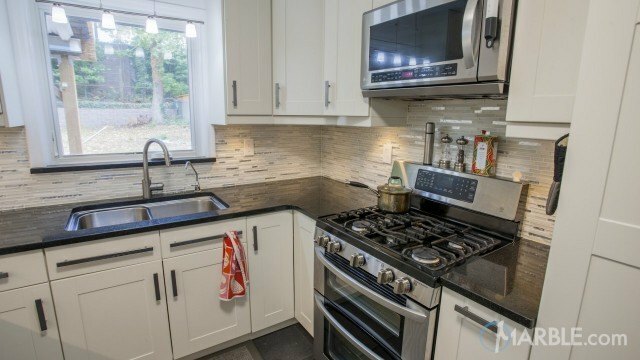 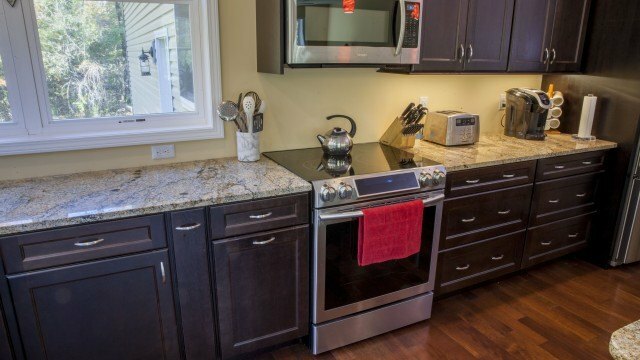 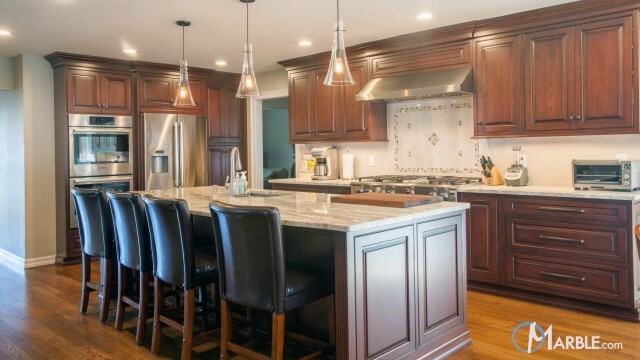 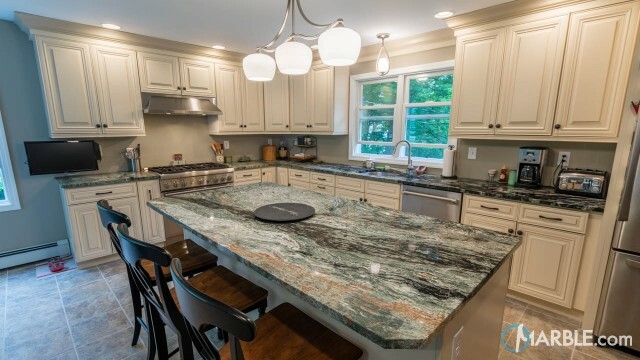 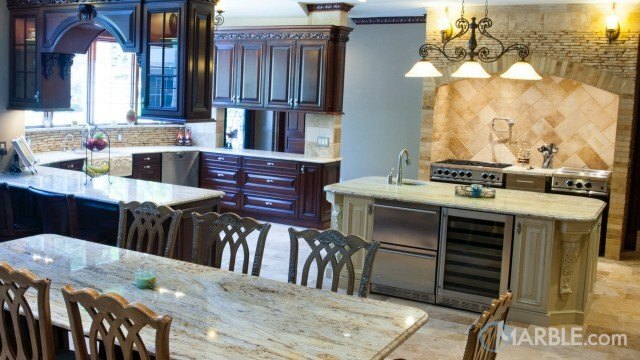 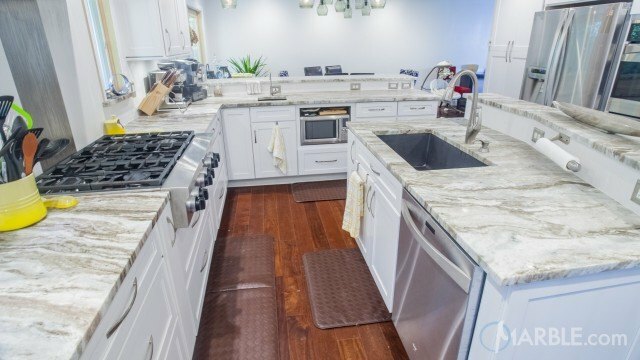 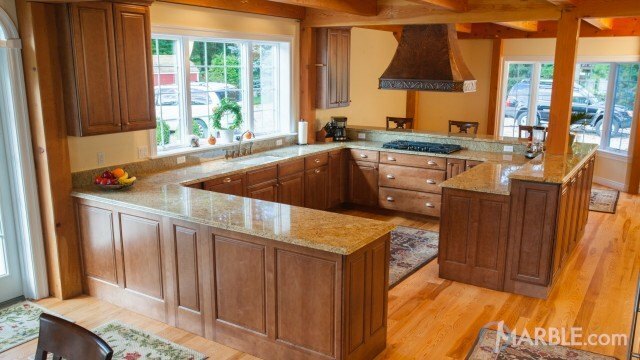 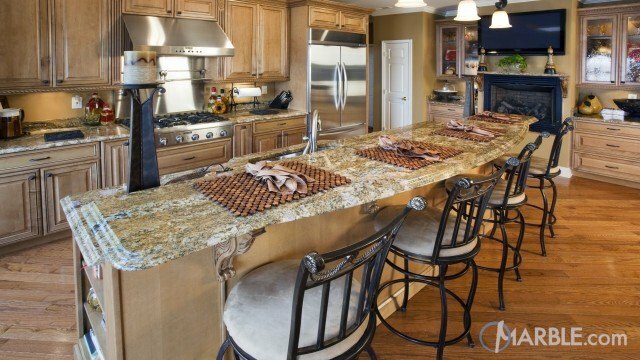 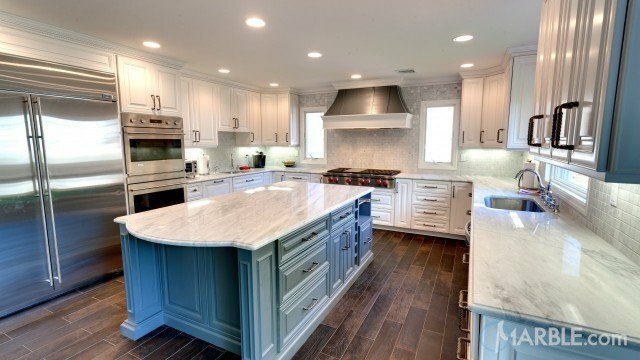 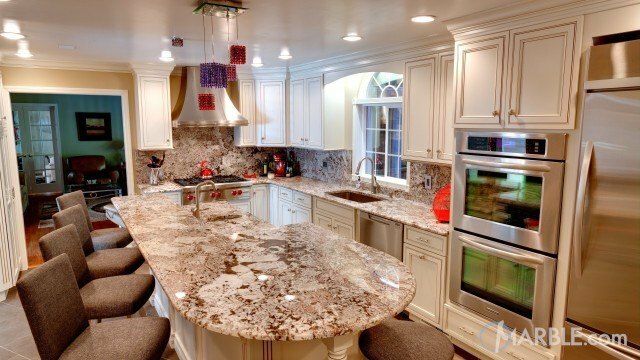 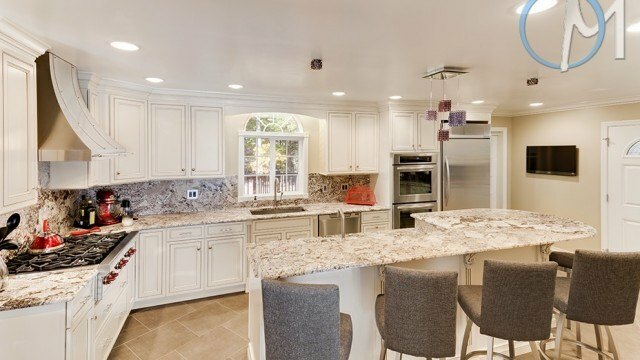 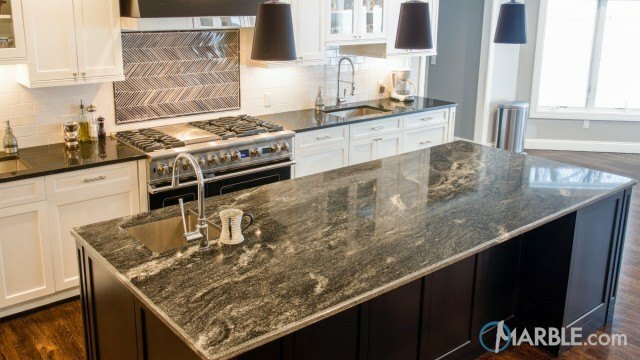 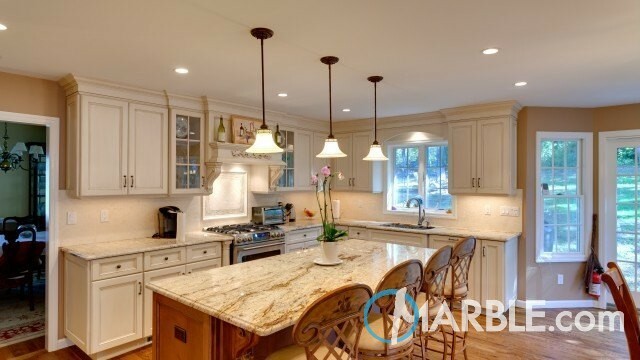 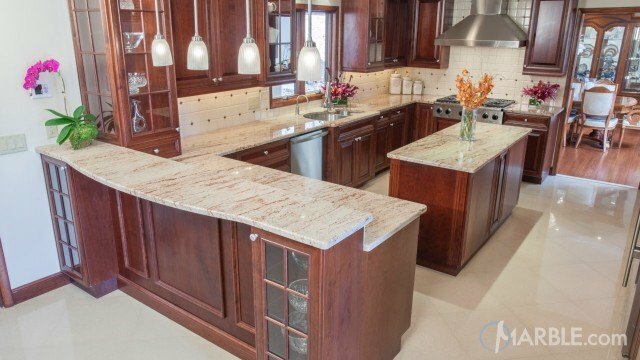 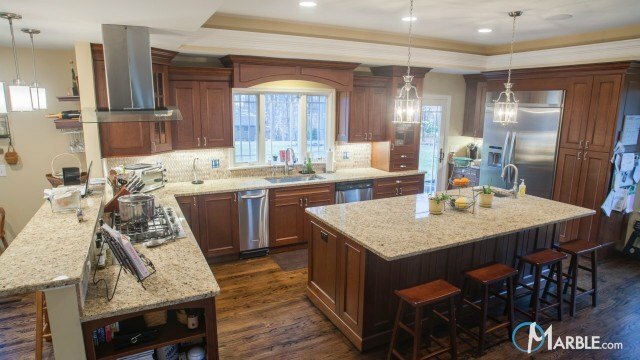 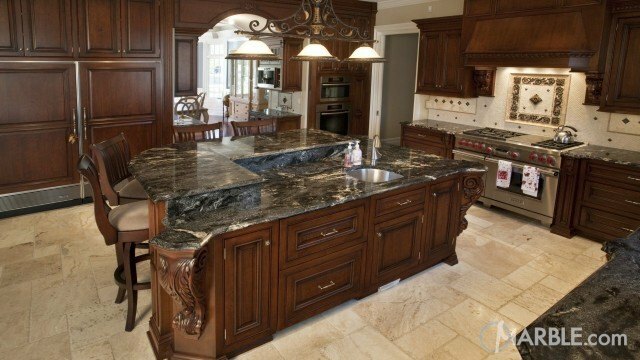 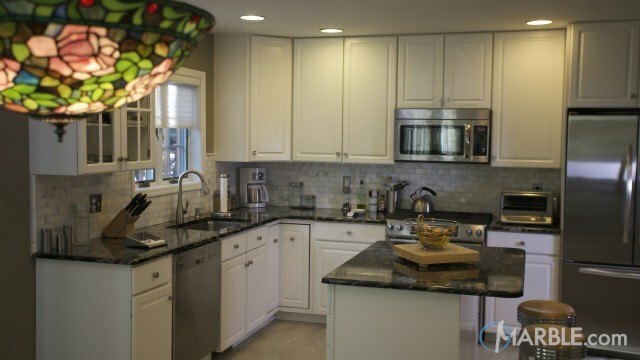 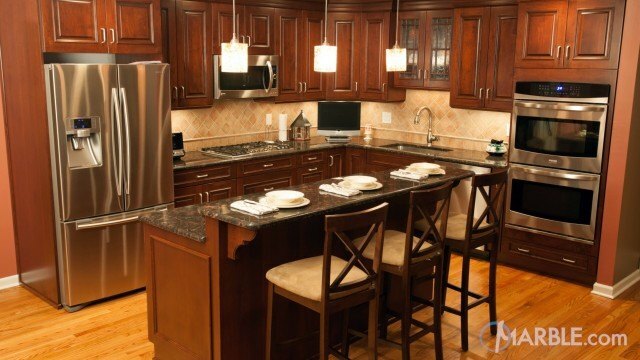 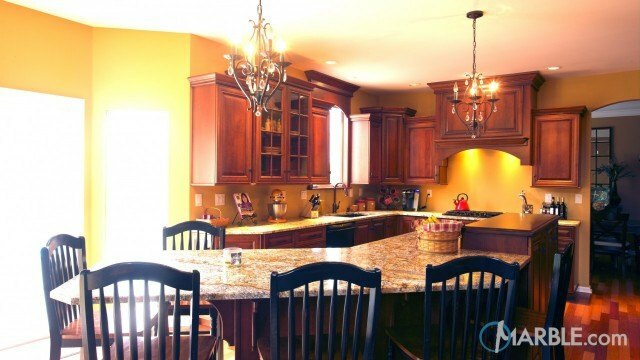 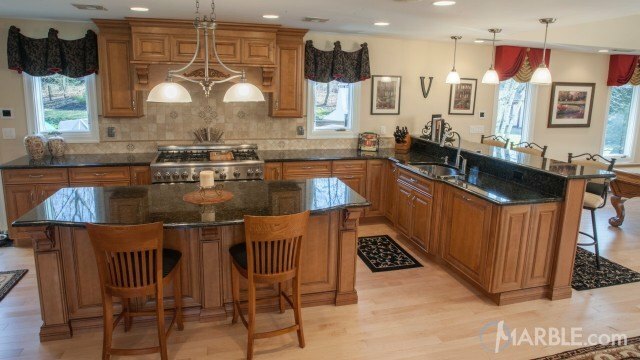 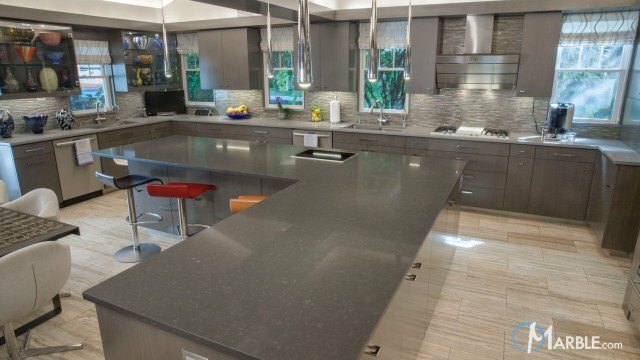 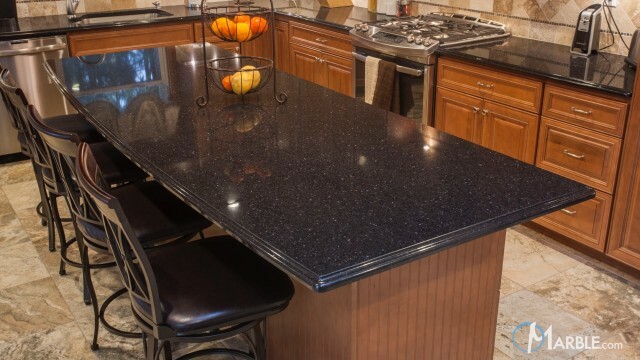 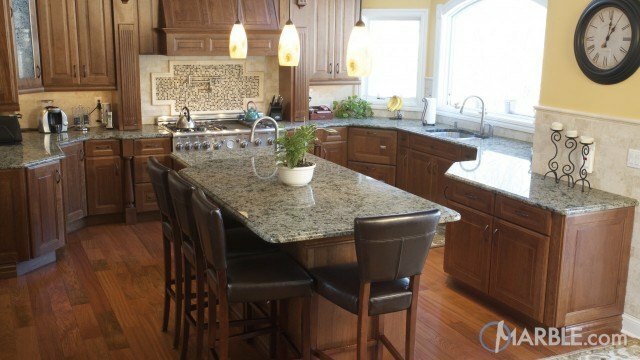 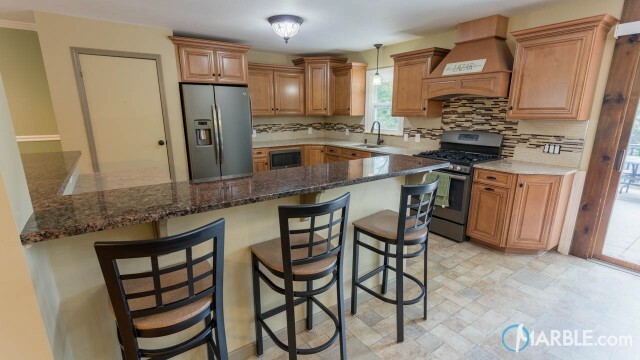 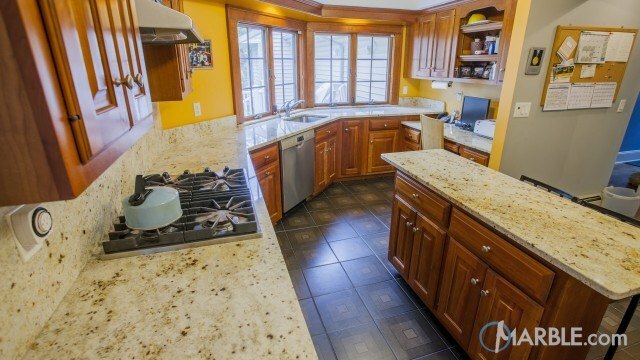 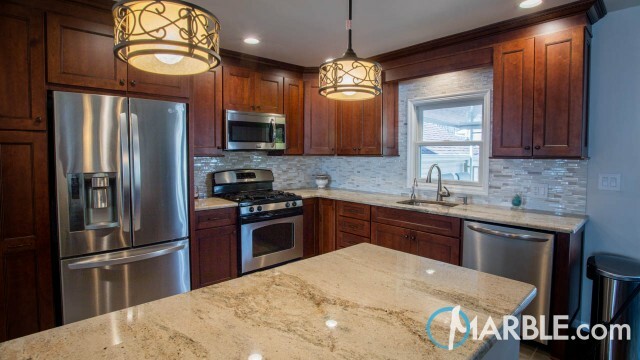 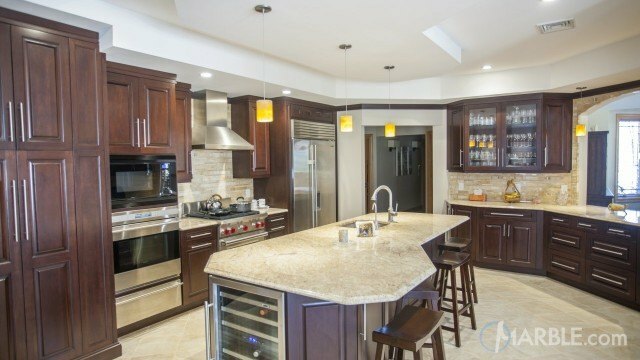 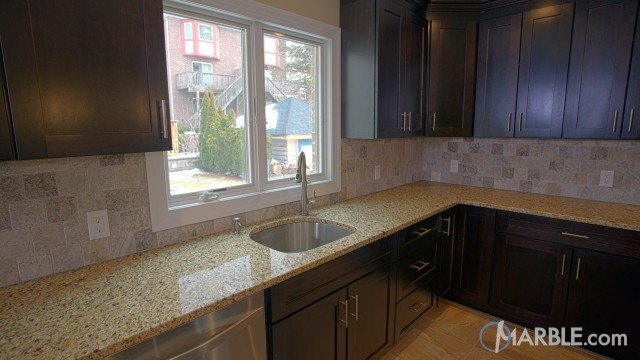 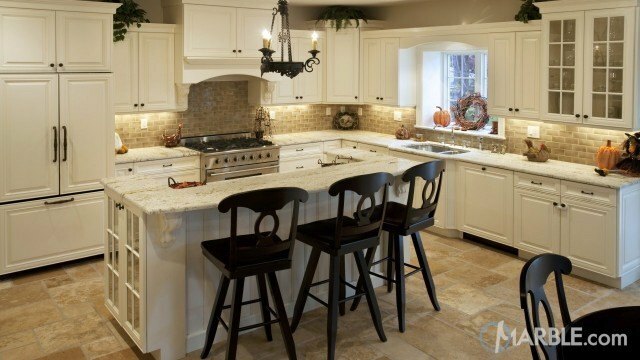 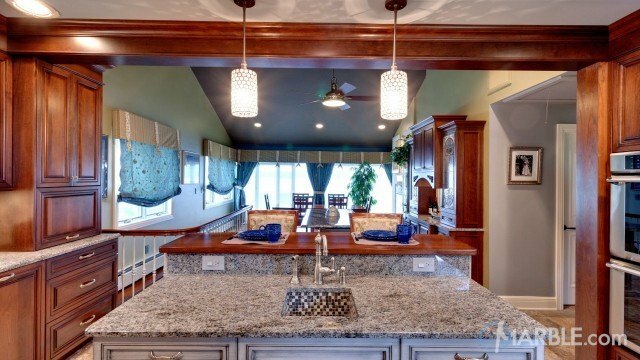 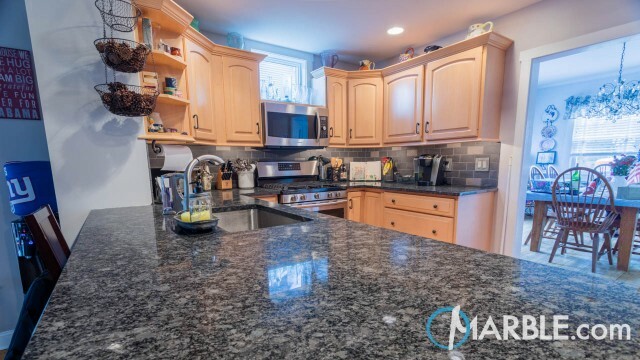 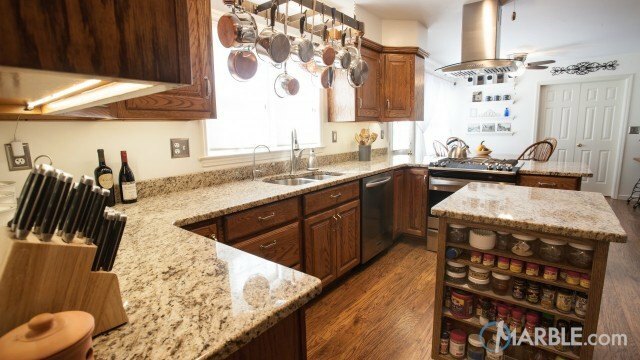 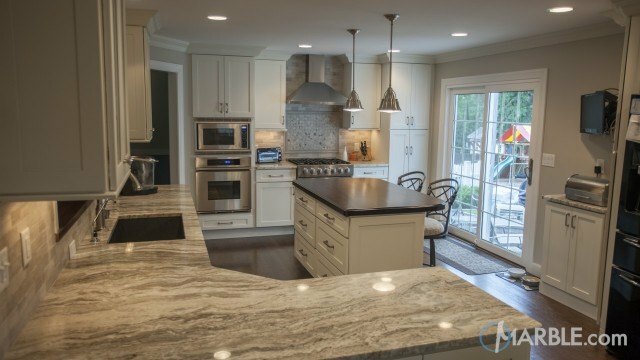 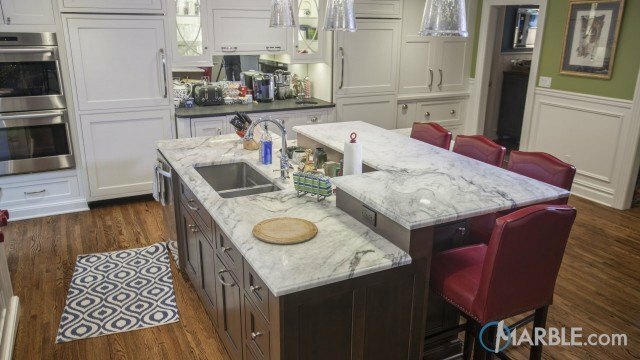 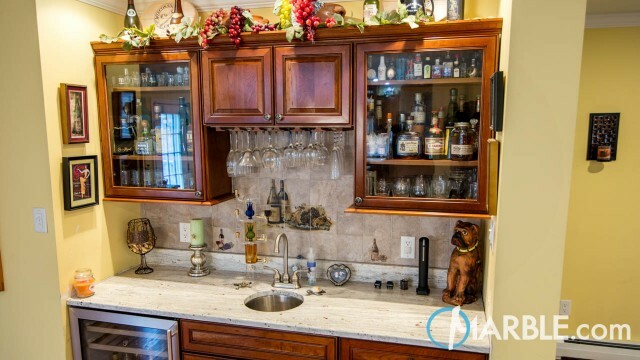 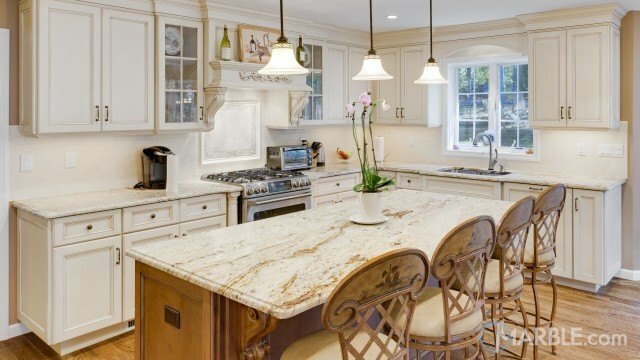 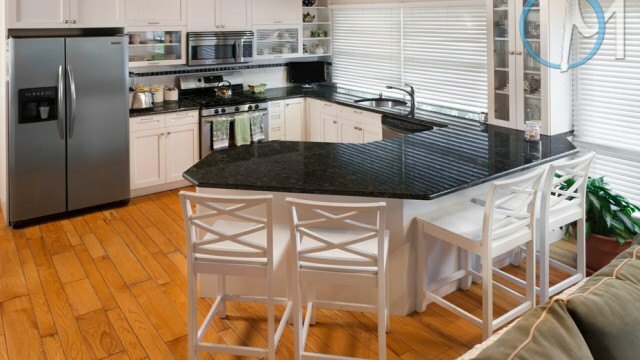 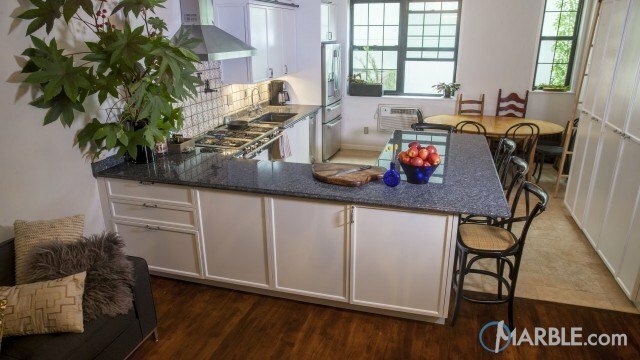 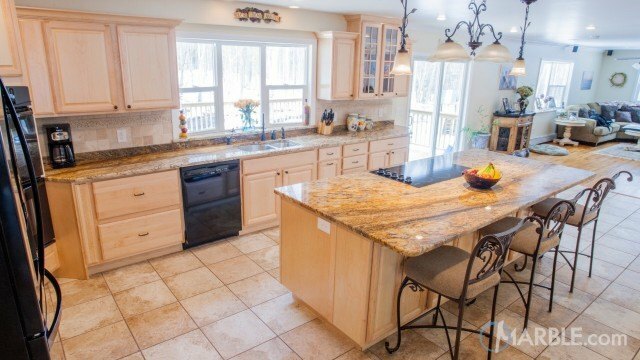 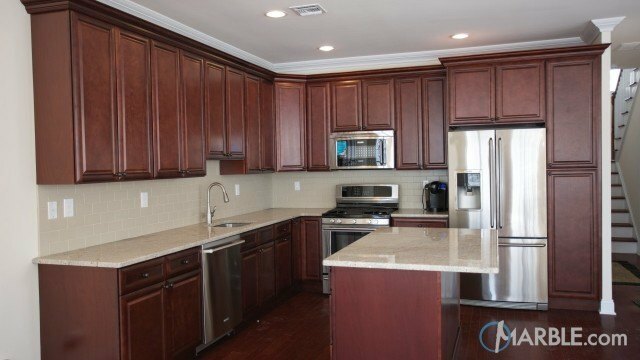 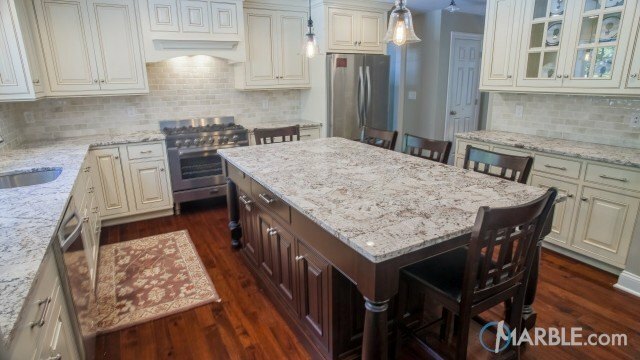 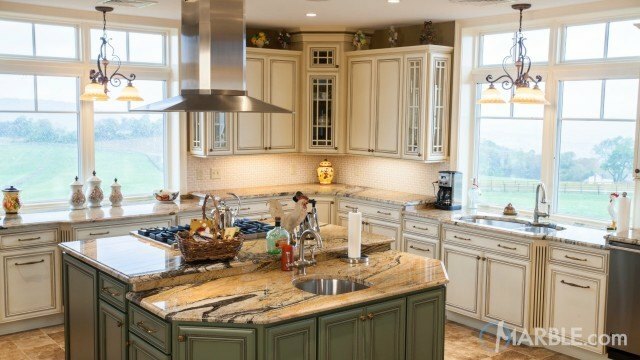 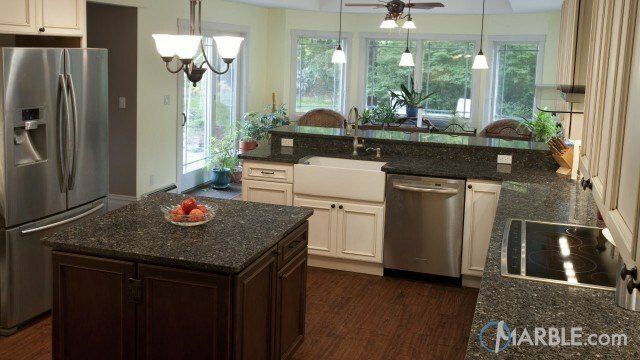 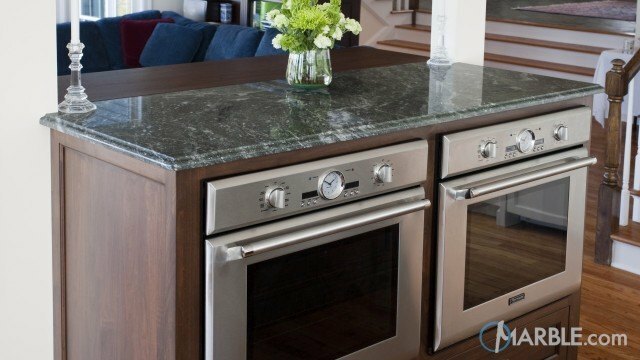 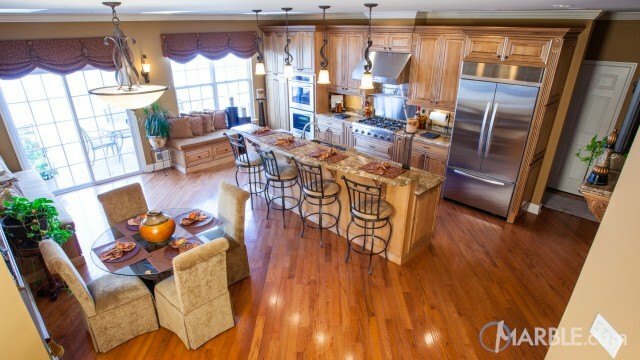 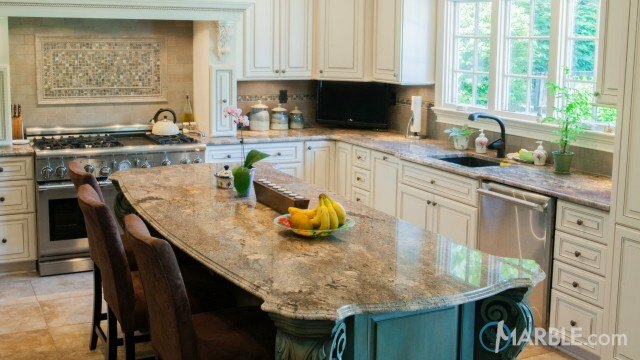 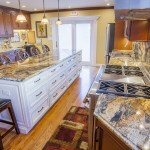 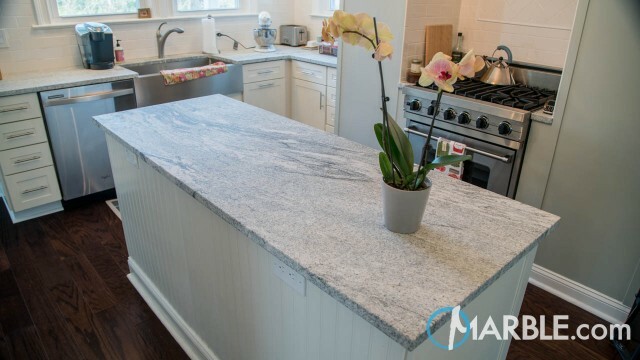 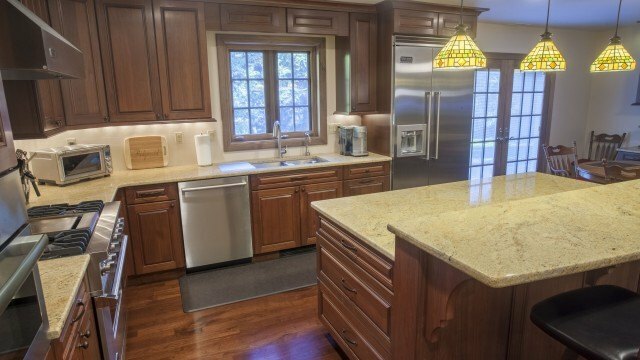 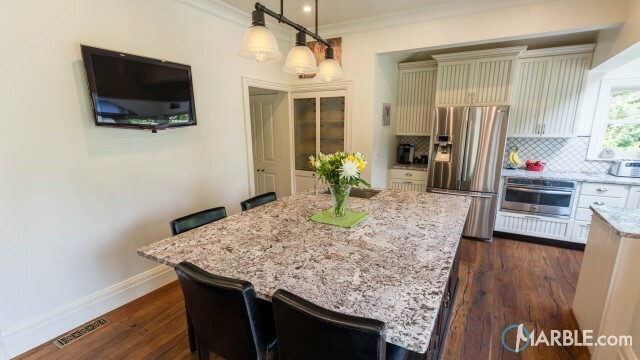 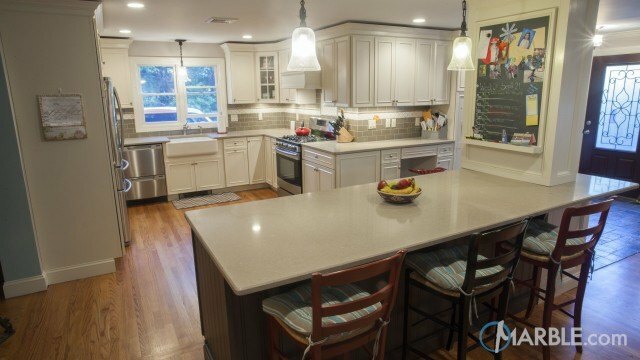 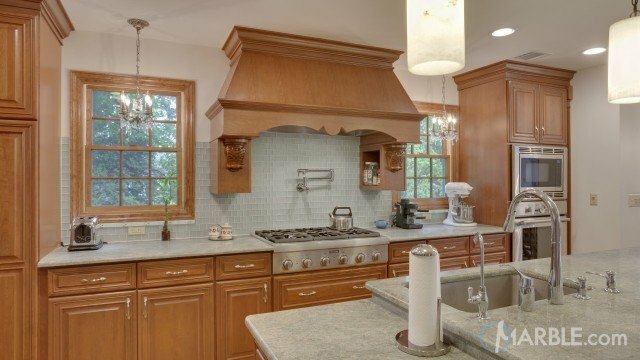 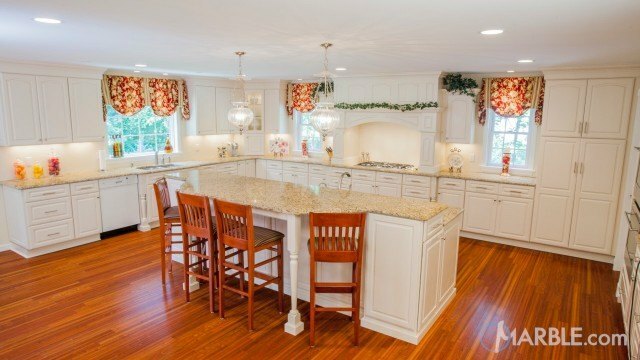 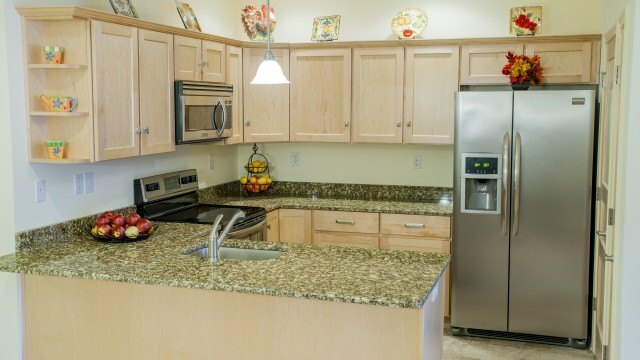 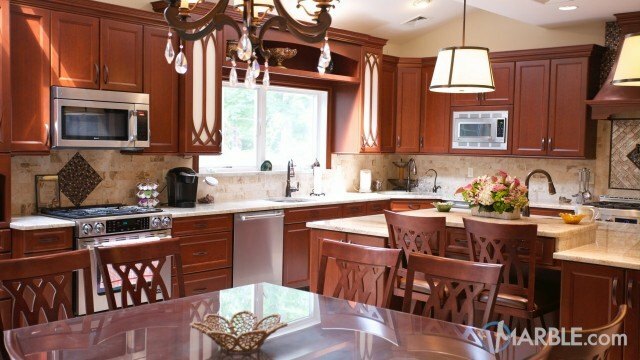 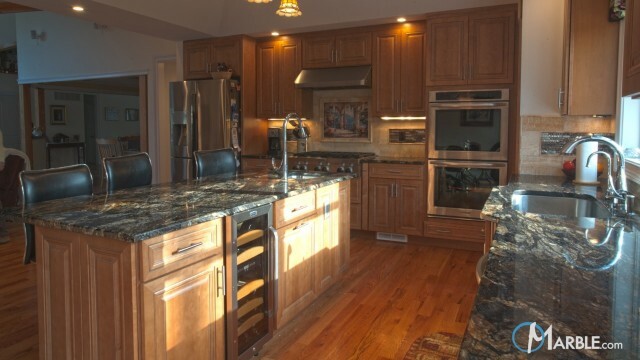 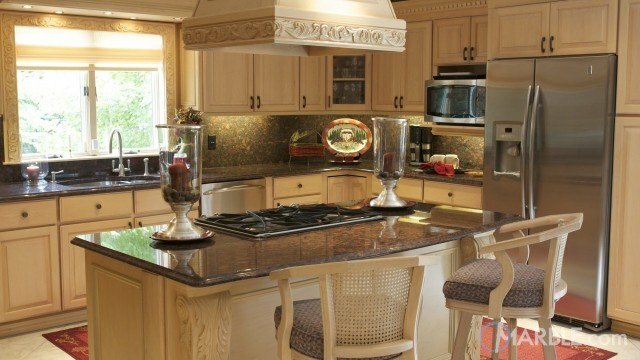 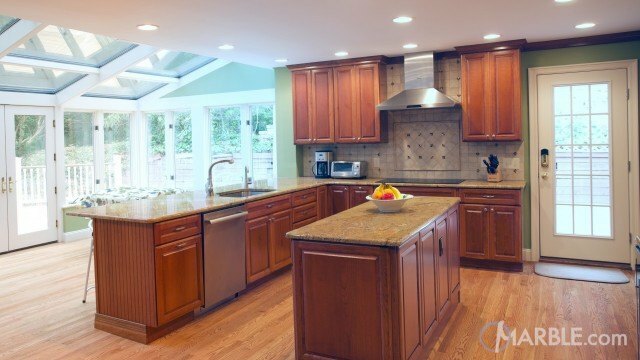 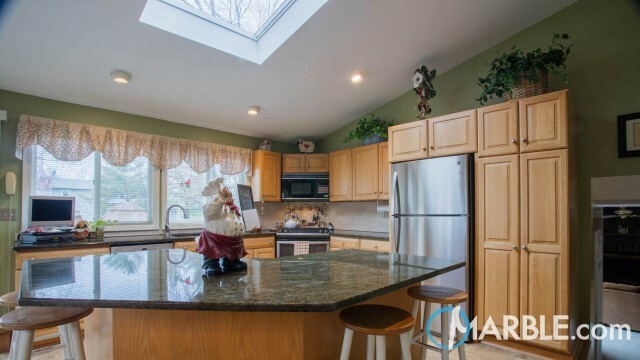 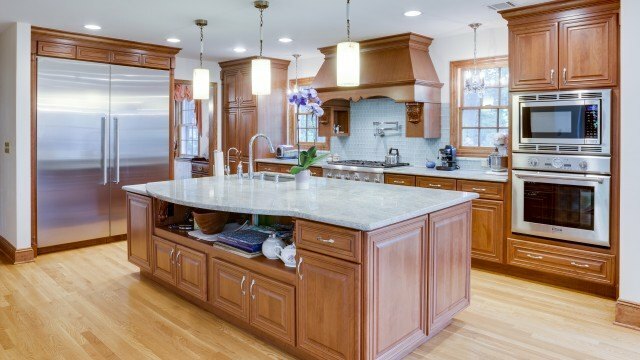 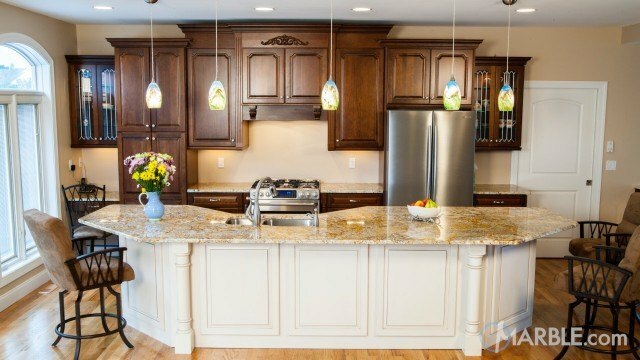 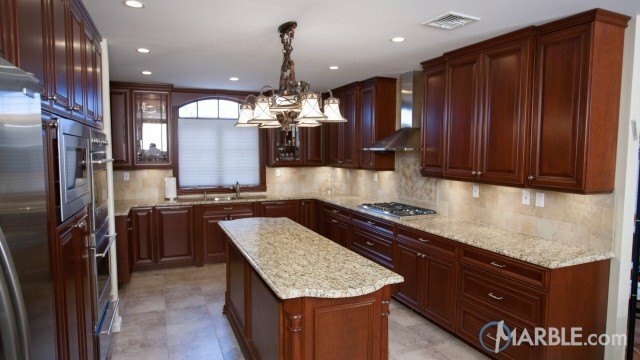 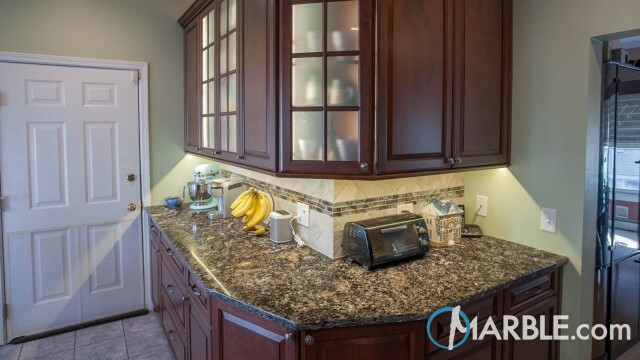 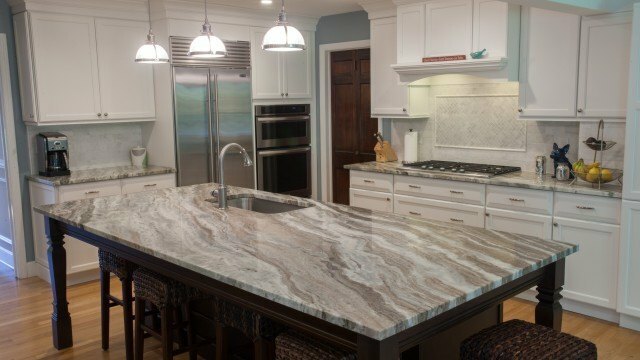 This kitchen is sure to impress with this knockout granite. 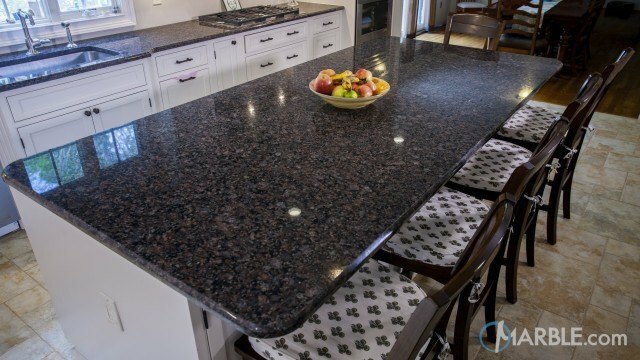 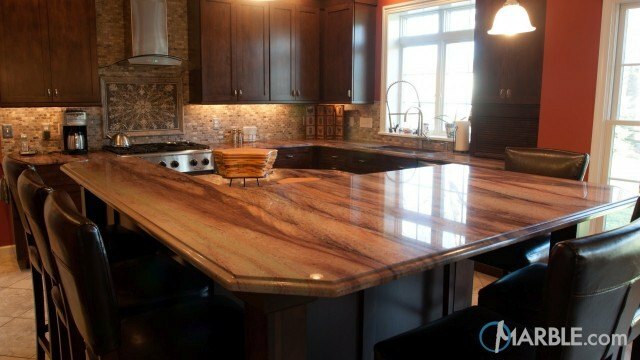 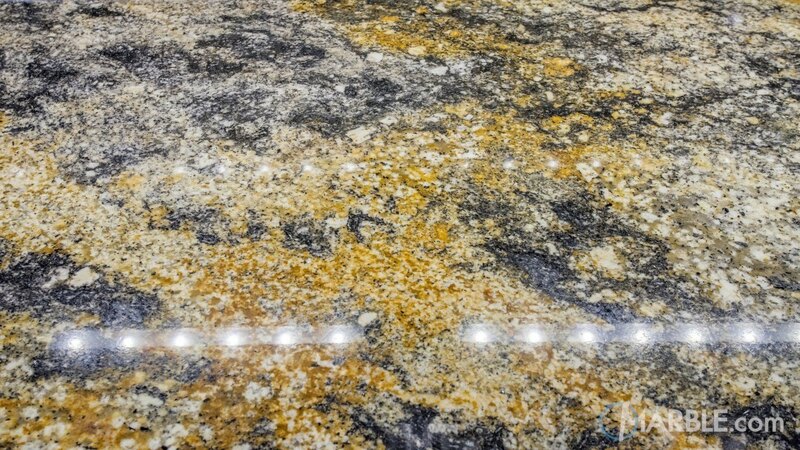 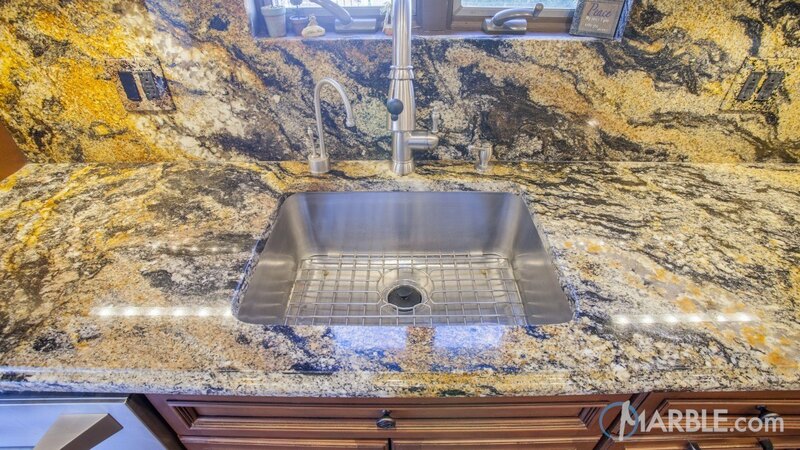 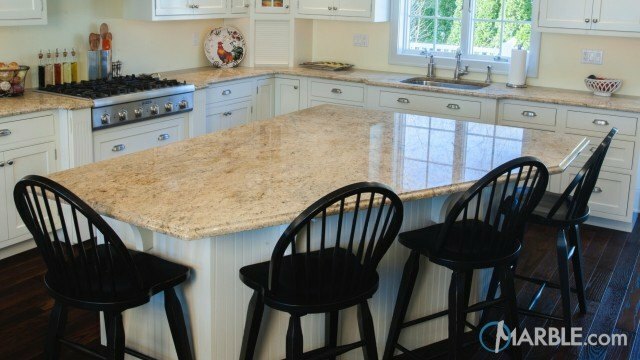 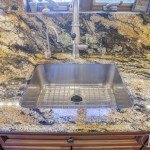 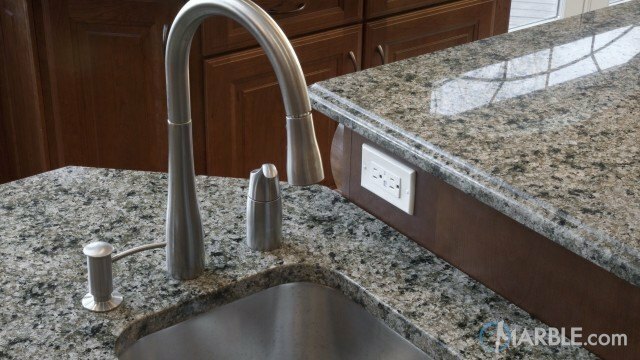 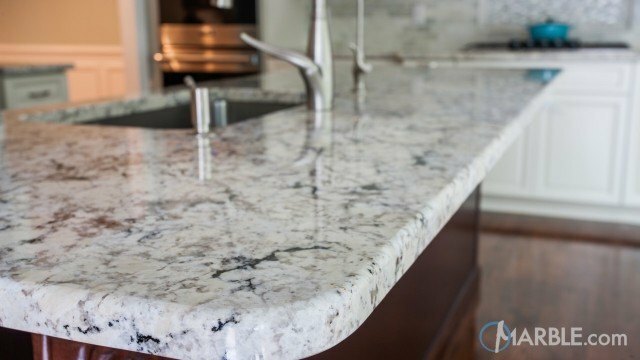 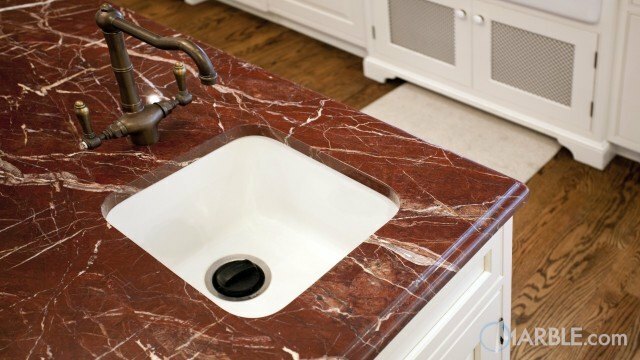 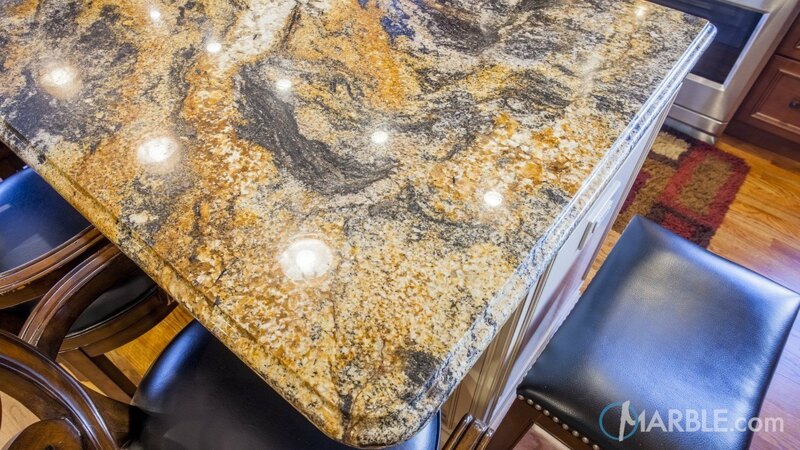 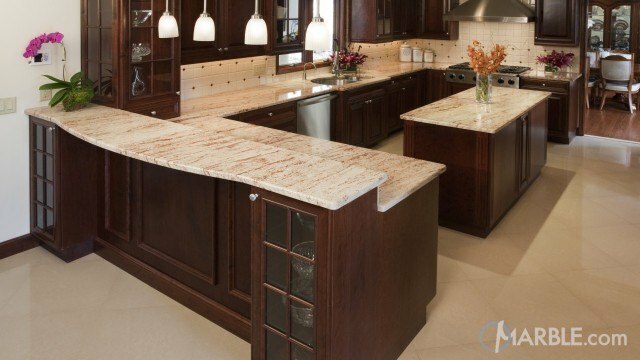 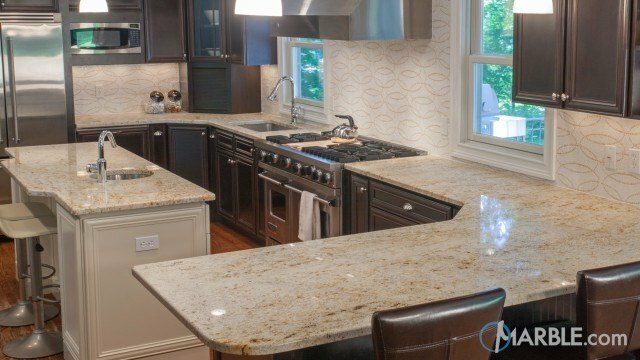 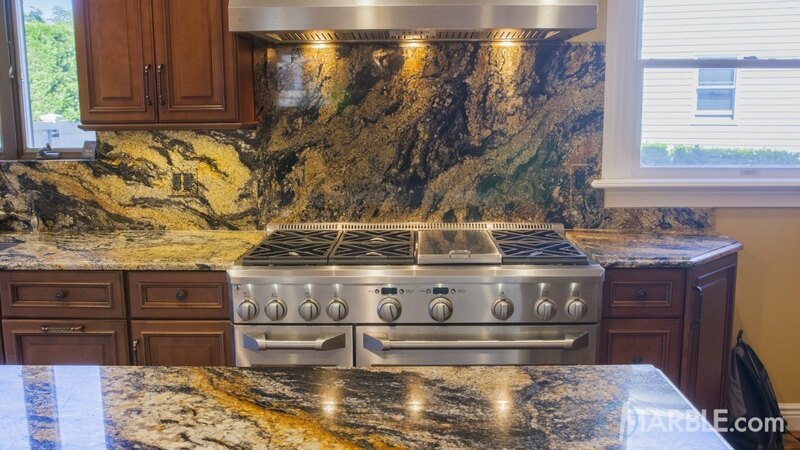 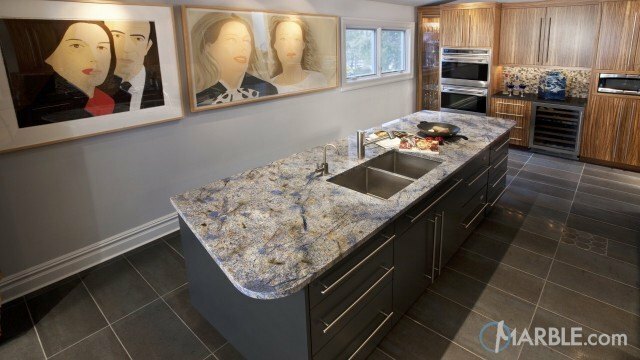 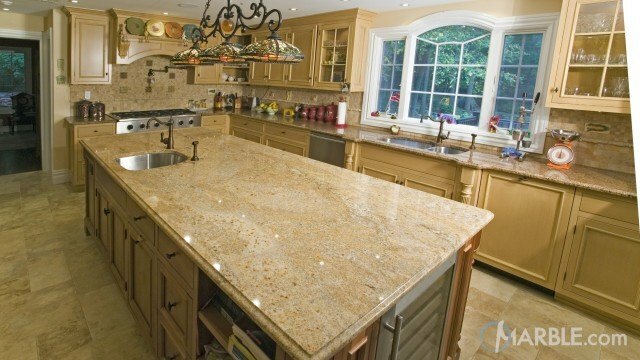 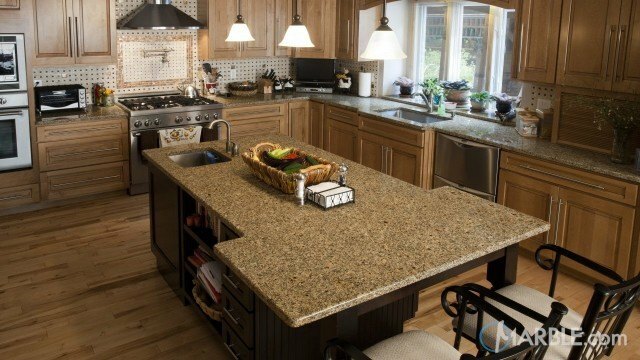 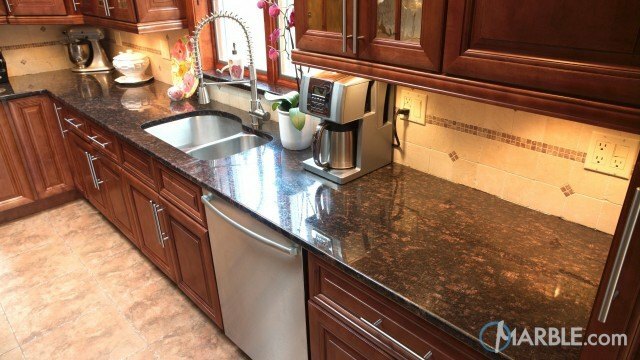 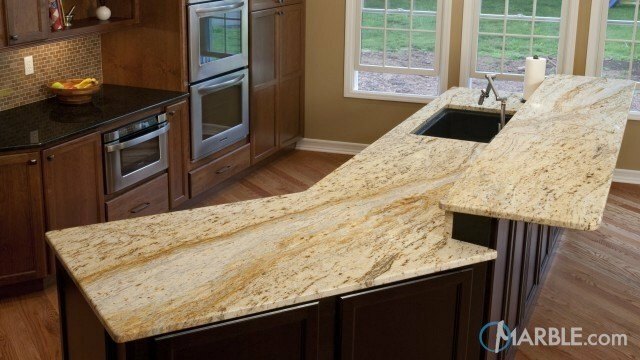 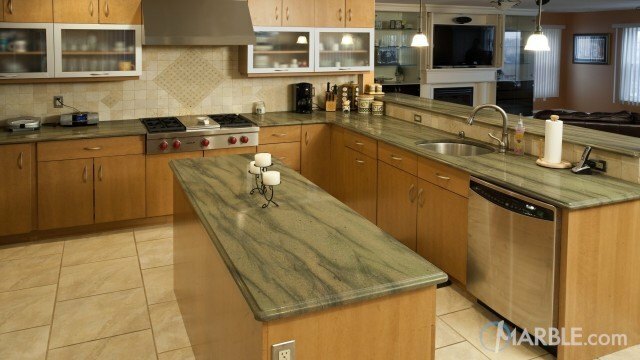 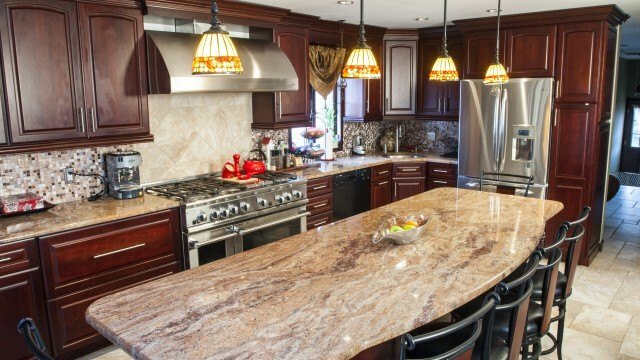 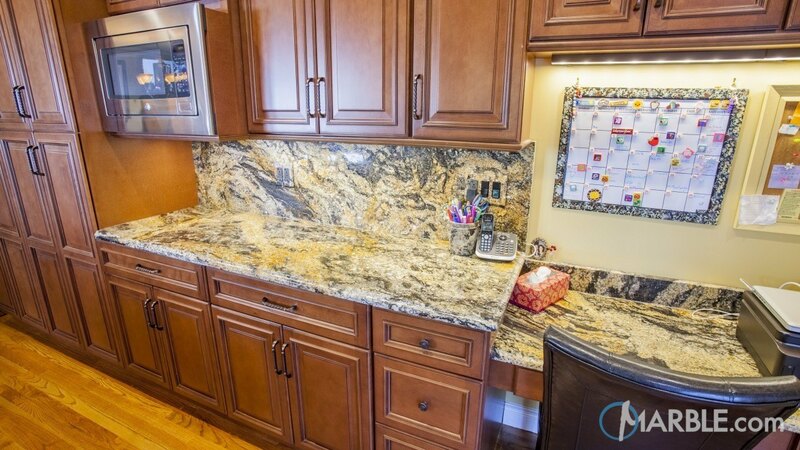 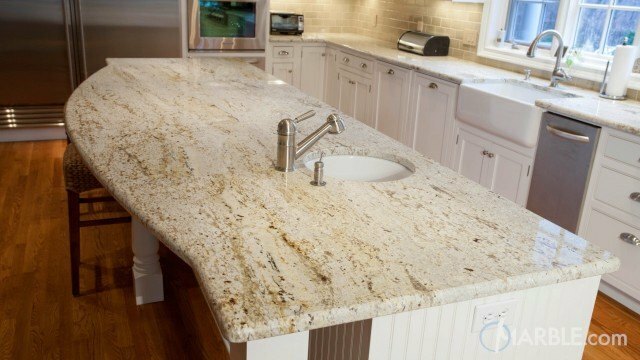 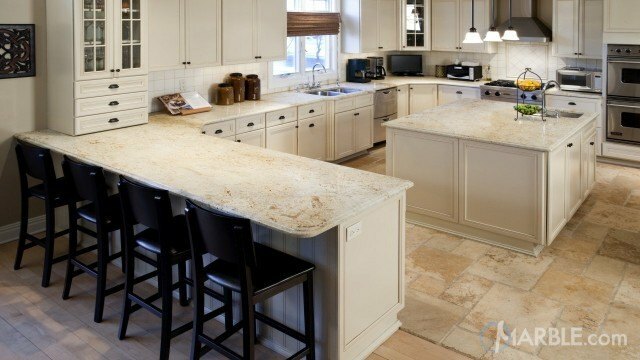 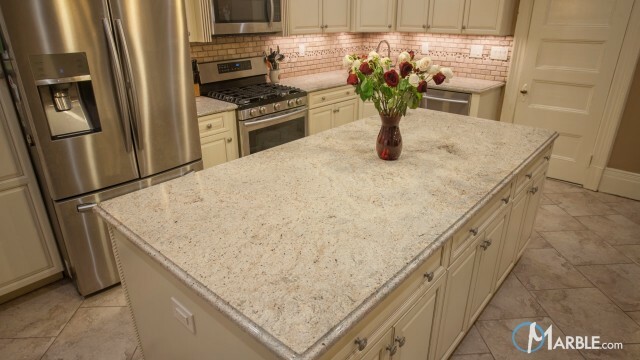 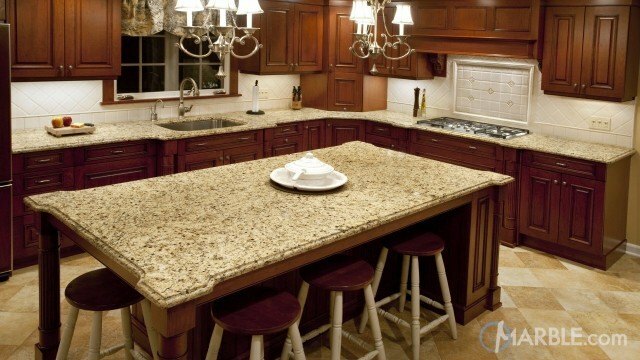 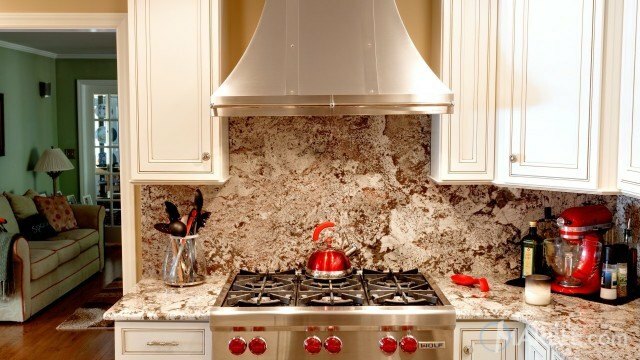 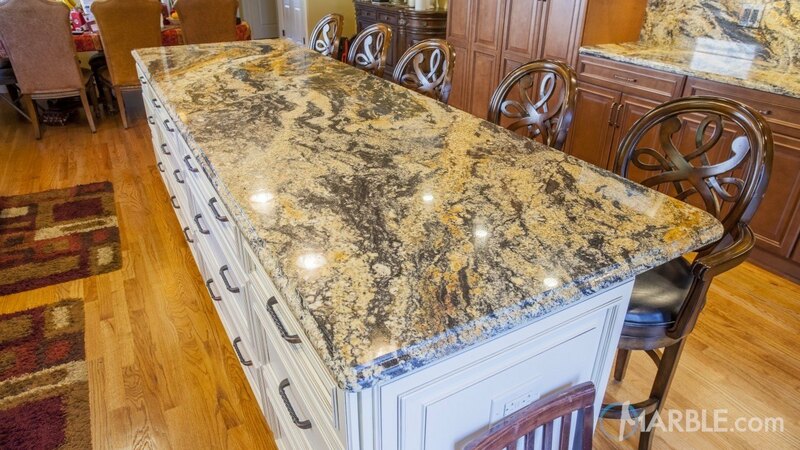 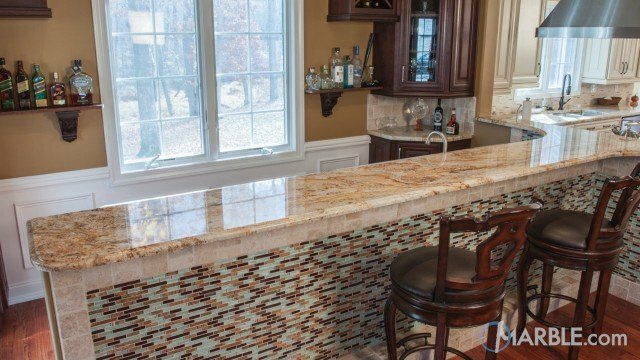 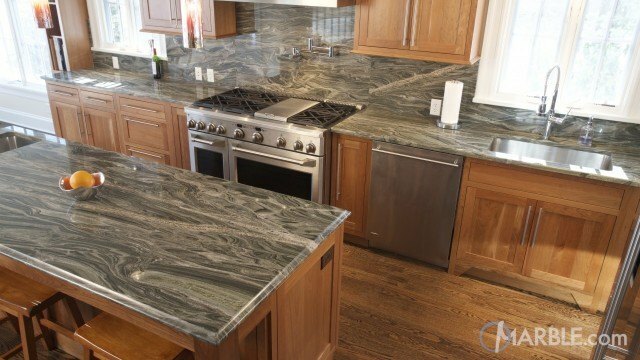 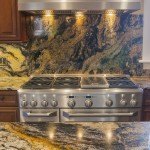 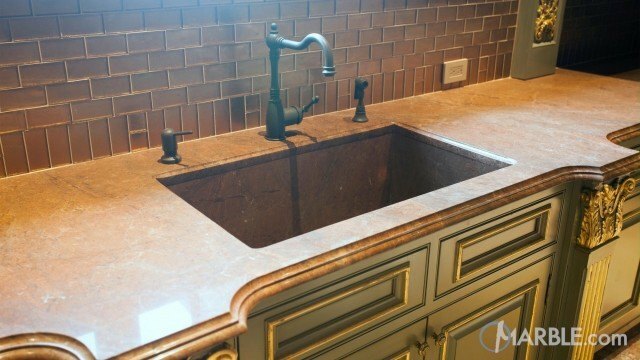 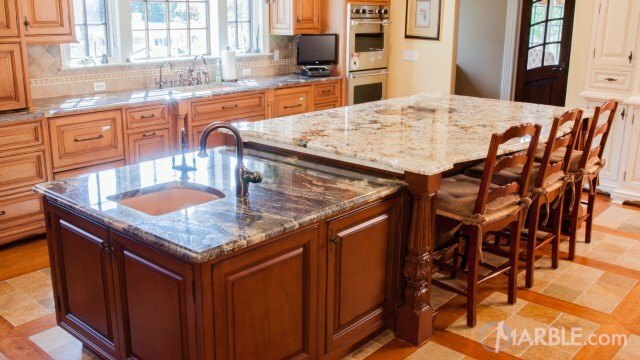 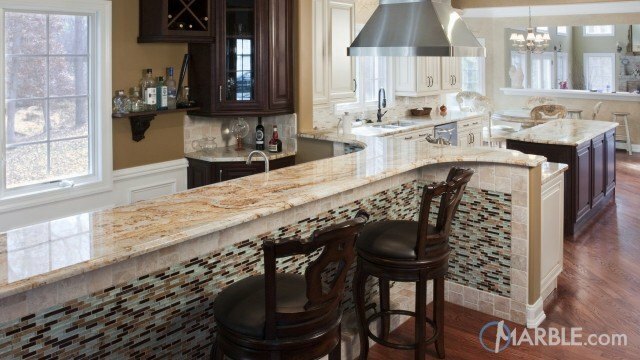 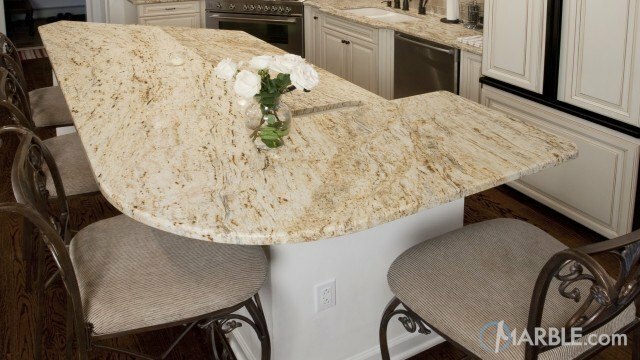 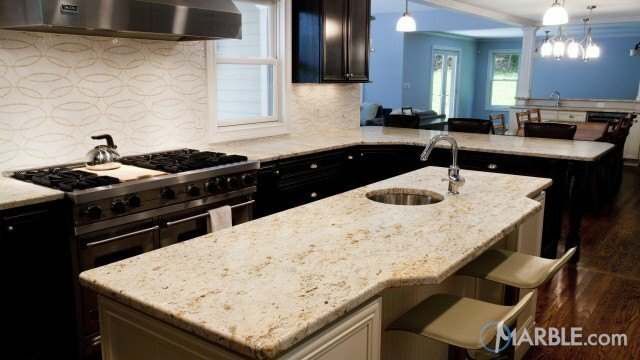 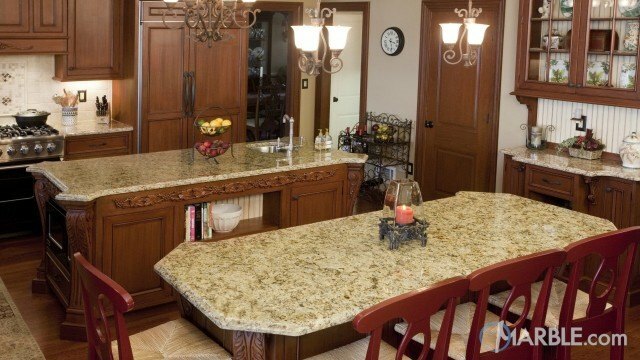 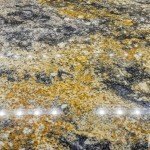 Magma Gold granite features rich colors that move in a large veining flow. 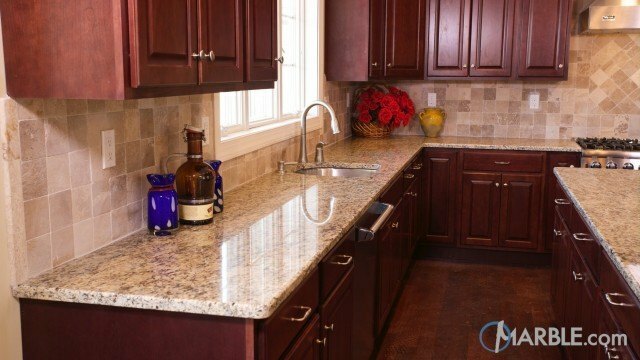 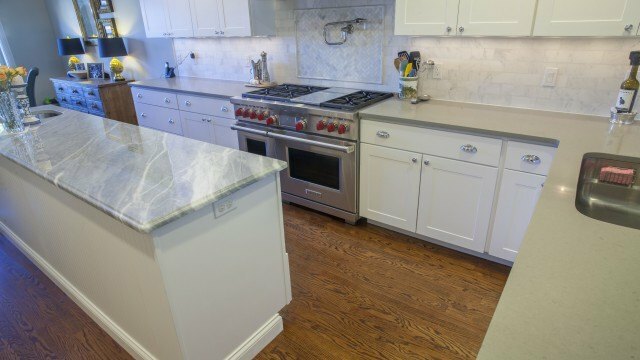 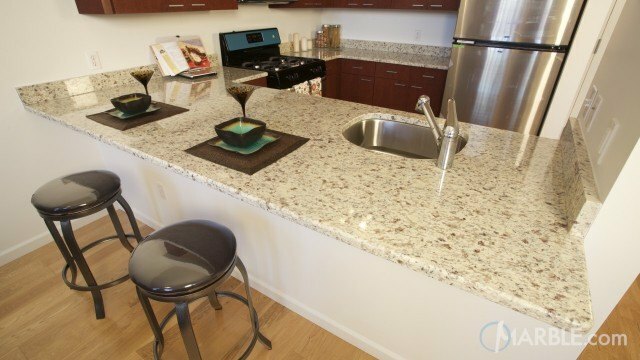 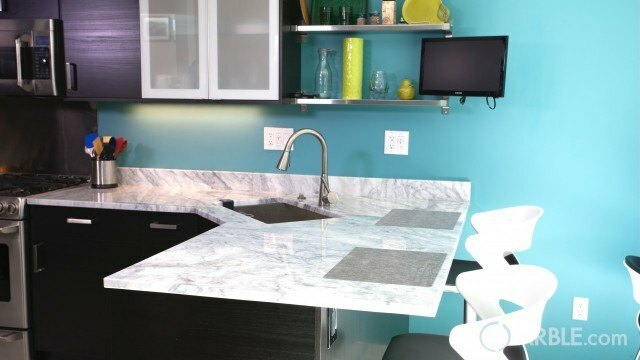 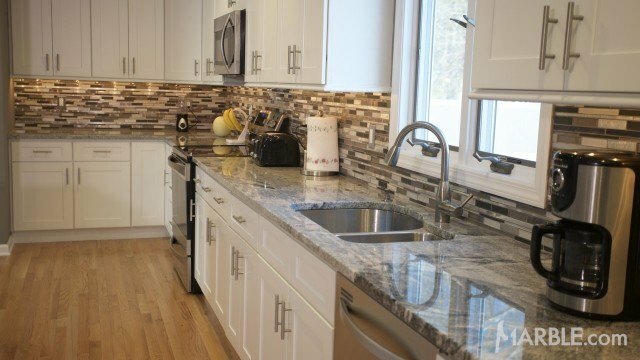 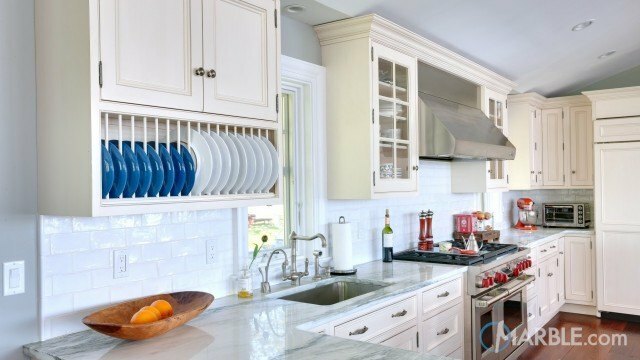 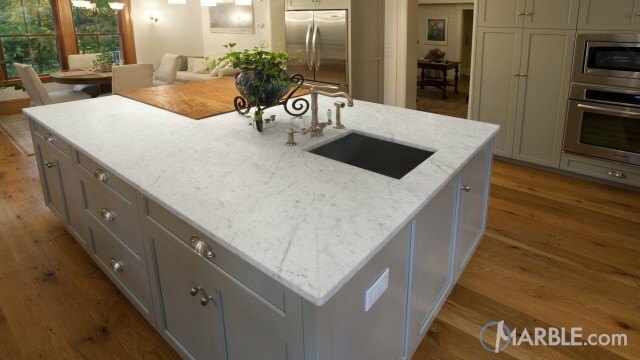 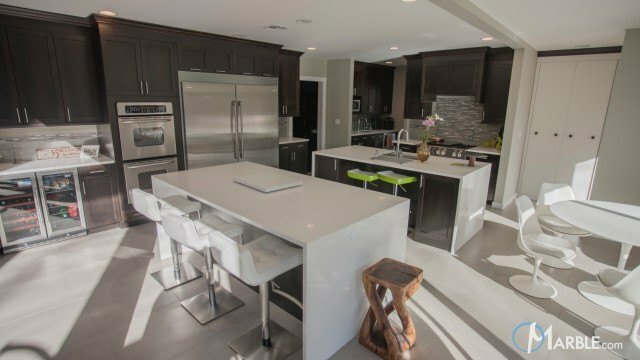 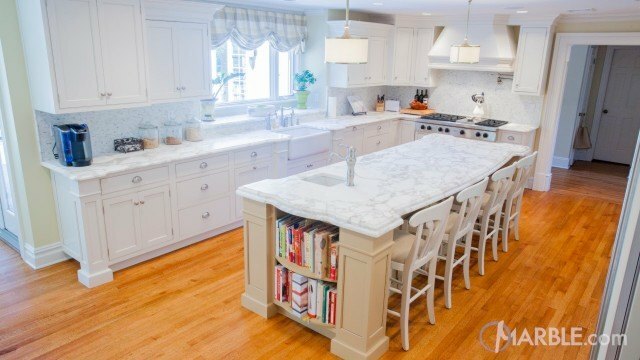 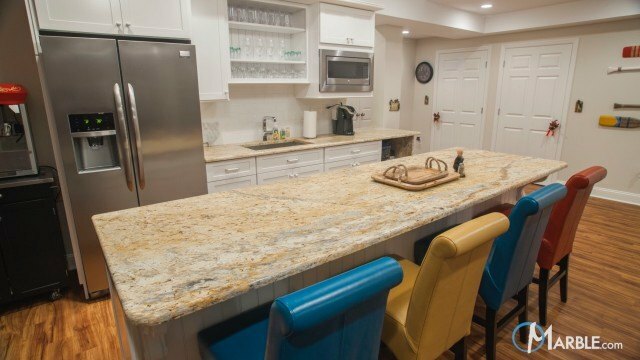 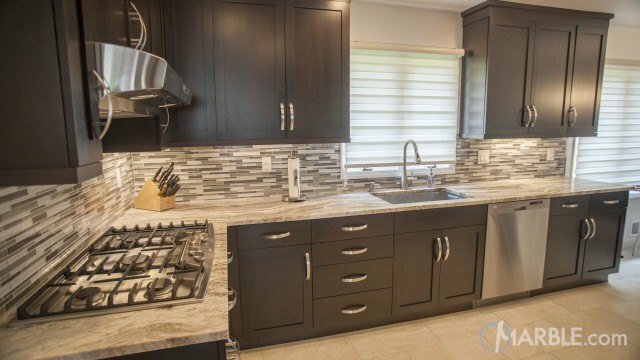 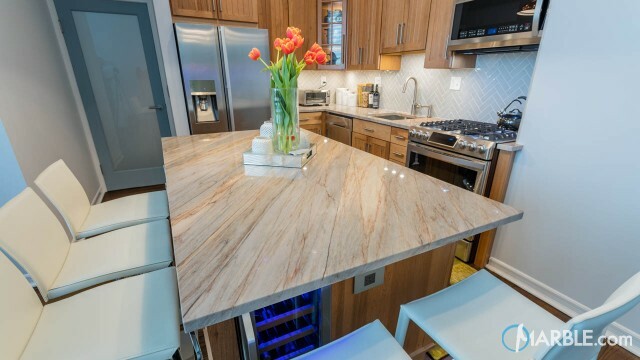 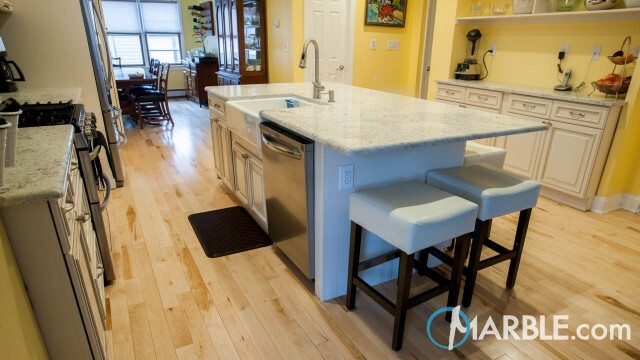 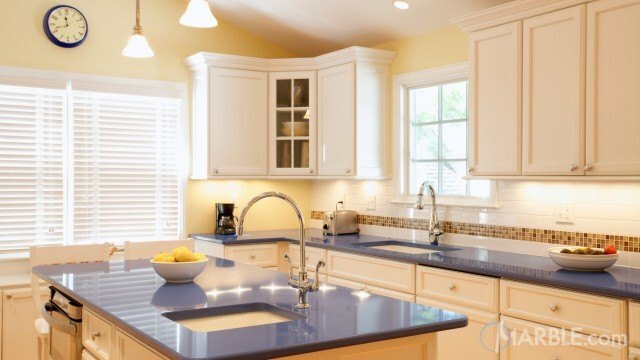 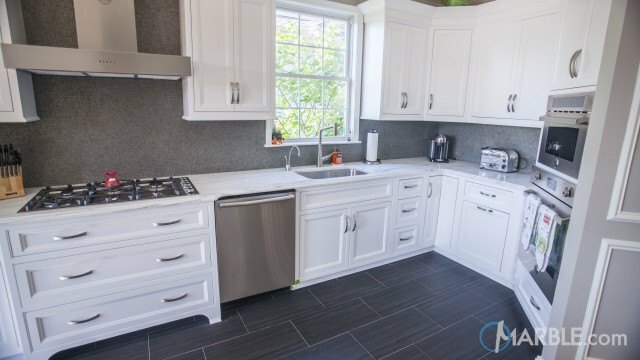 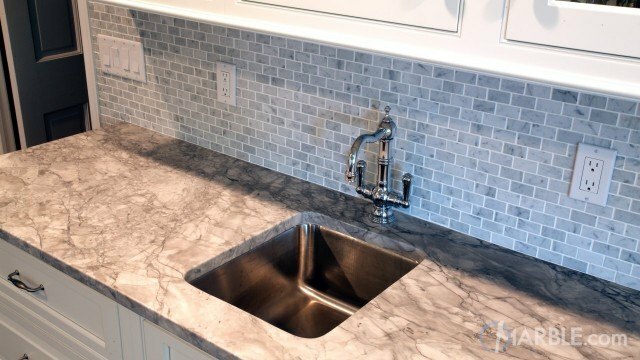 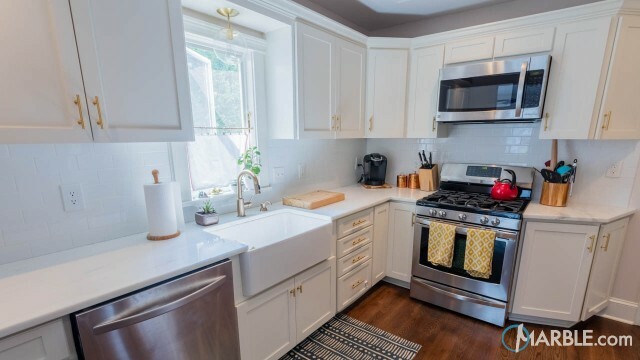 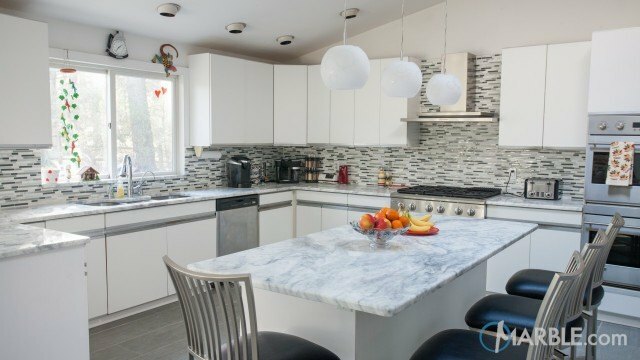 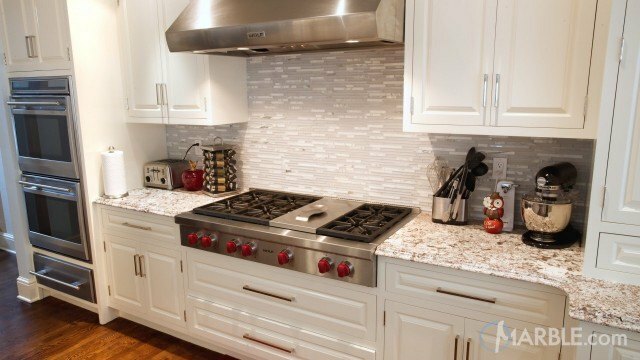 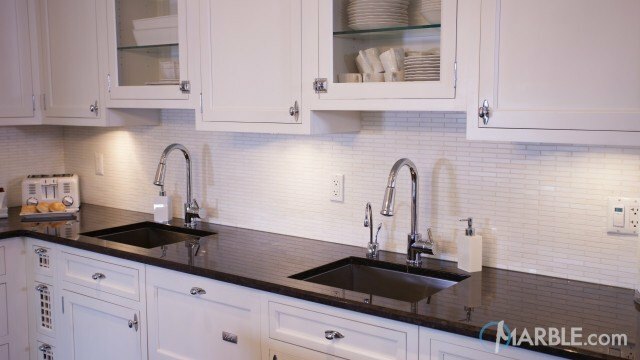 Matched with contrasting cabinet colors, this counter top really pops.